Whether you’re a college student planning a hiking tour with your study group or an intrepid kayaker seeking to brave the rapids, the one thing you can’t do without is a backpack. 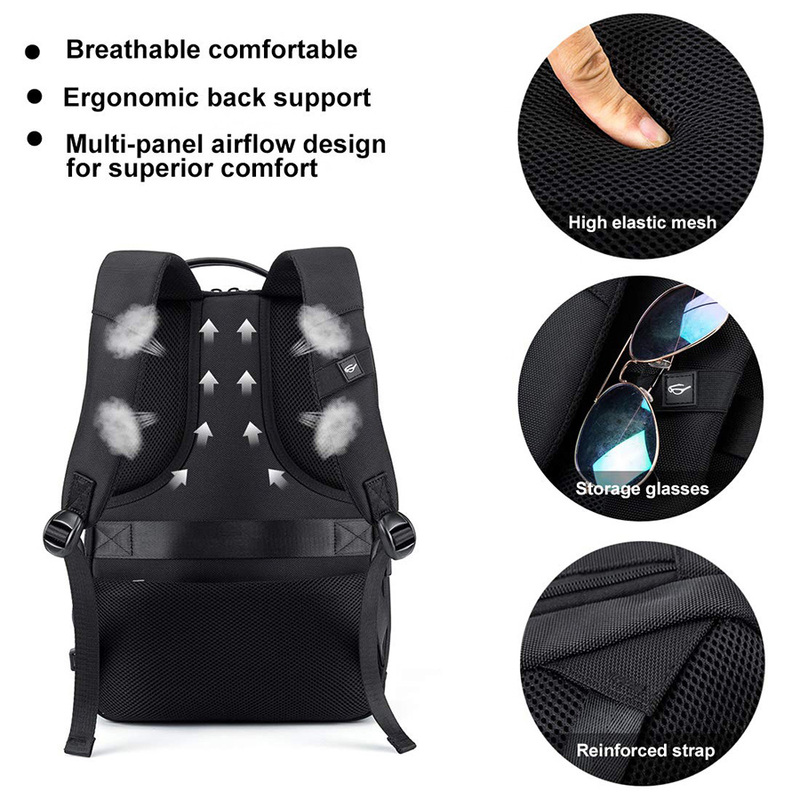 With its travel-friendly weight and its ability to endure the rain and sun, the right backpack can be your best friend wherever you go. 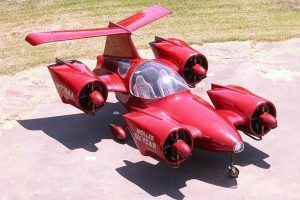 Amidst the dizzying variety of options on the market, it can be hard to decide which model checks all the boxes in terms of quality and durability and also fits your budget. Luckily, we’ve done the homework for you – we’ve rounded up our pick of the 30 best waterproof backpacks available today, all of which you can easily order online. 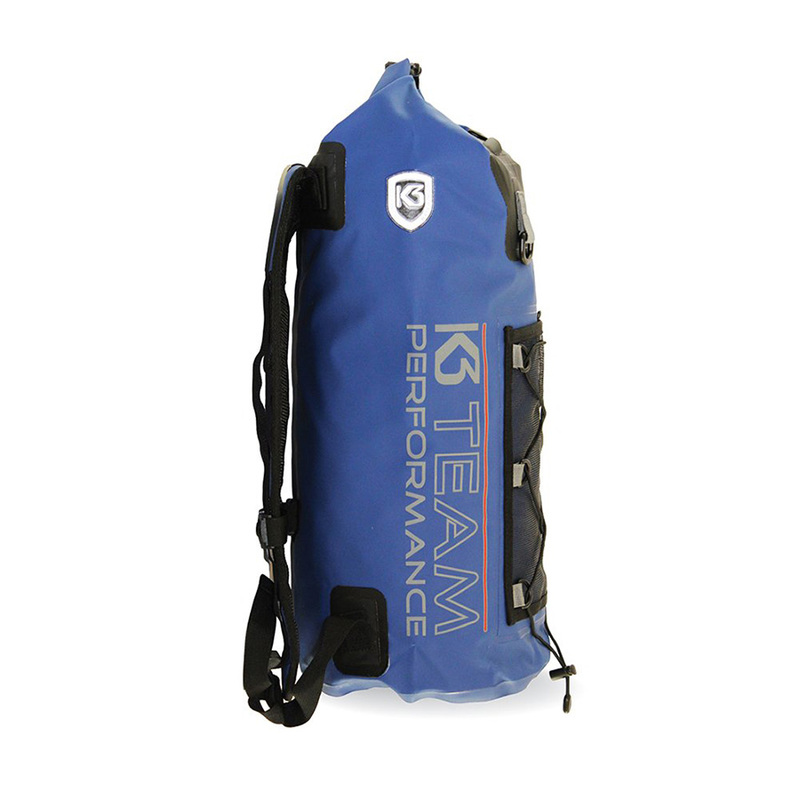 Adventure sports enthusiasts should look no further than this lapis blue number. 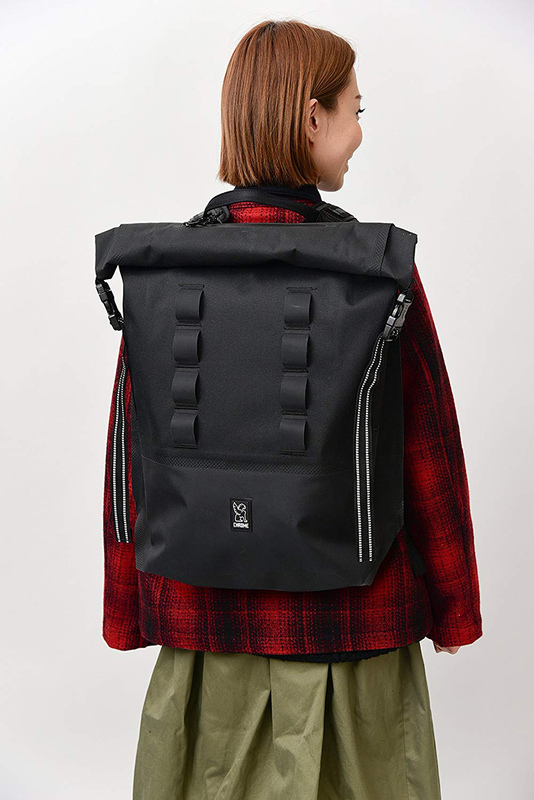 Made of durable tarpaulin fabric and with breathable straps, this backpack keeps your goods safe and also takes the strain – quite literally – off your shoulders. 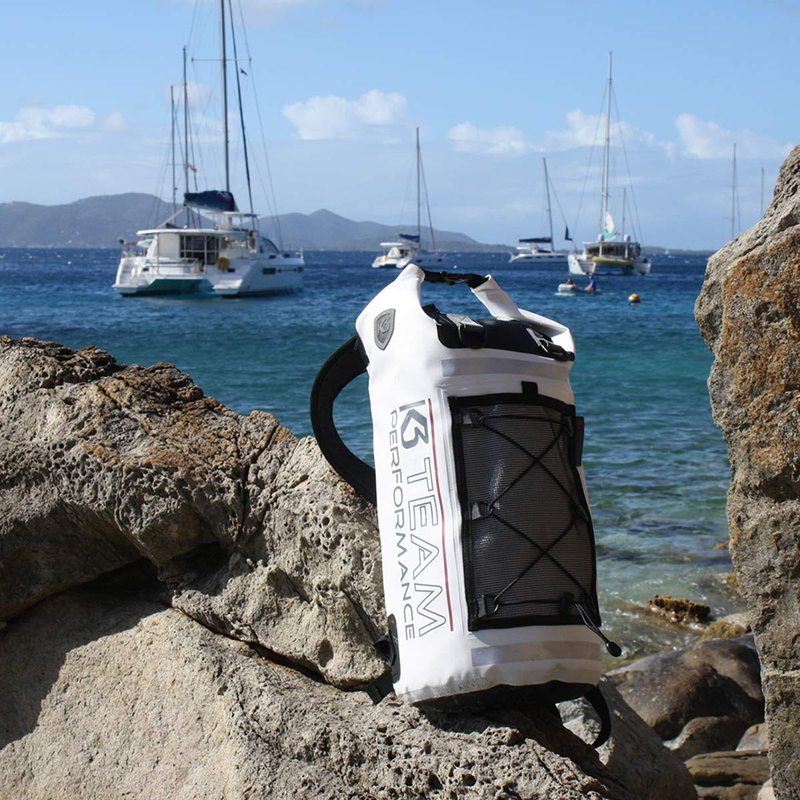 And with a Class 6 Waterproof rating, this is one of your best bets whether you’re going sailing, kayaking or diving. 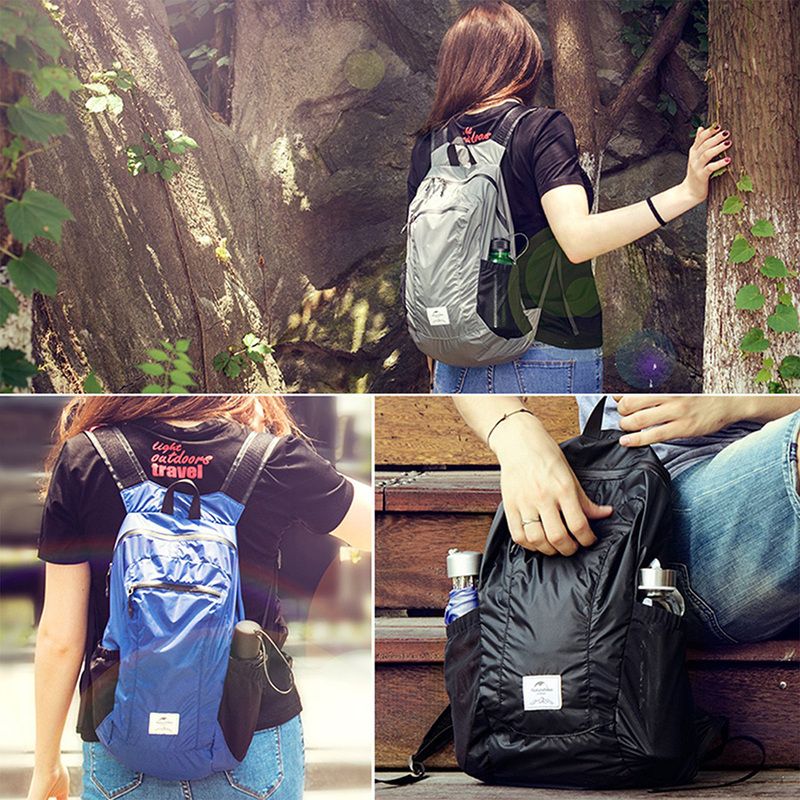 We know that student travellers like to live out of their backpacks. 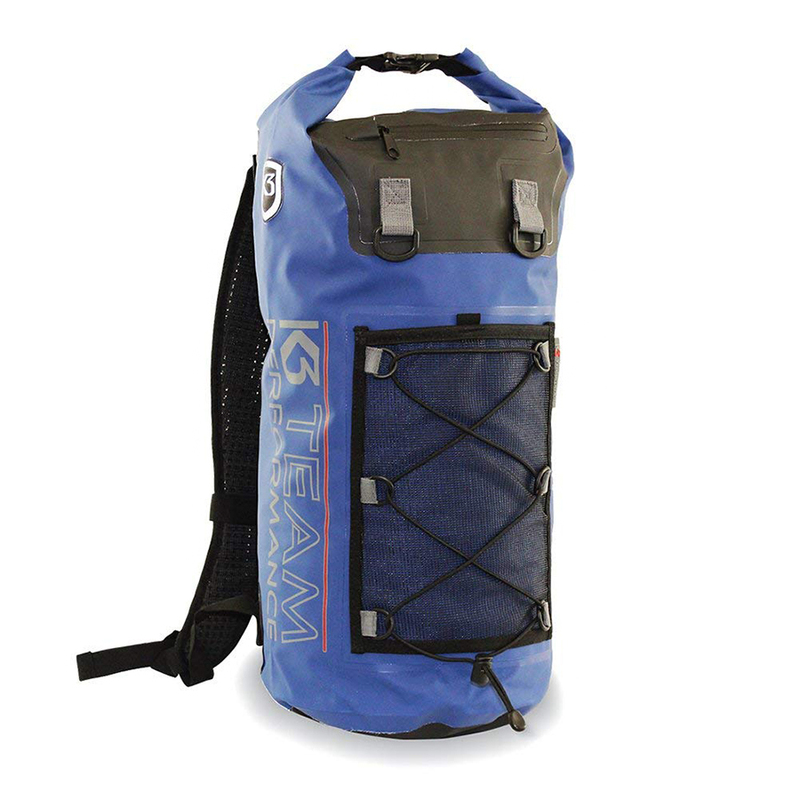 And this model by Aquafree is an undefeatable waterproof college backpack. 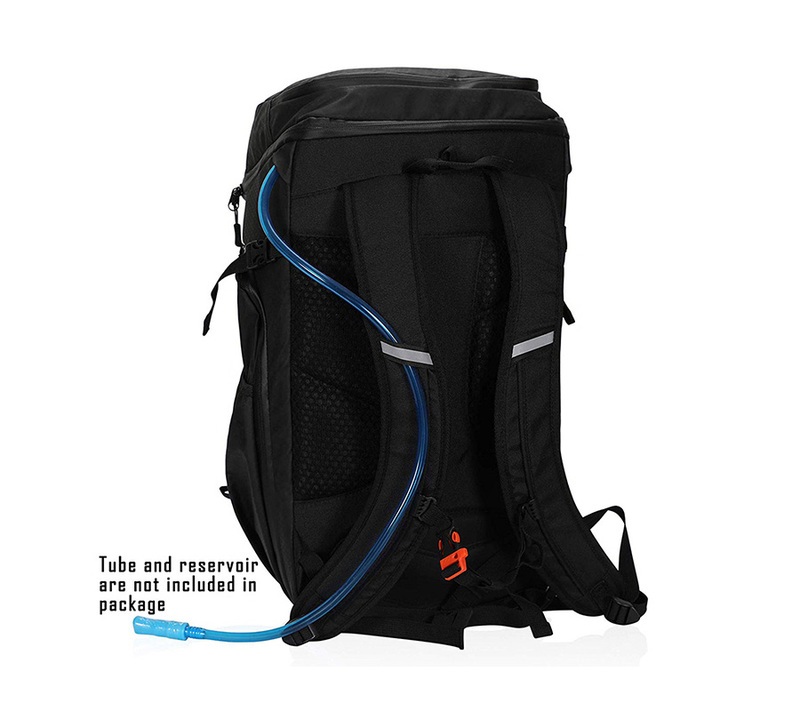 A multi-purpose strap system allows you to carry everything from your dorm keys to your umbrella, and an air release valve lets you adjust the bag’s volume. Welded seams, moreover, make it 100% waterproof – so you can go hiking without having to fear the rain! 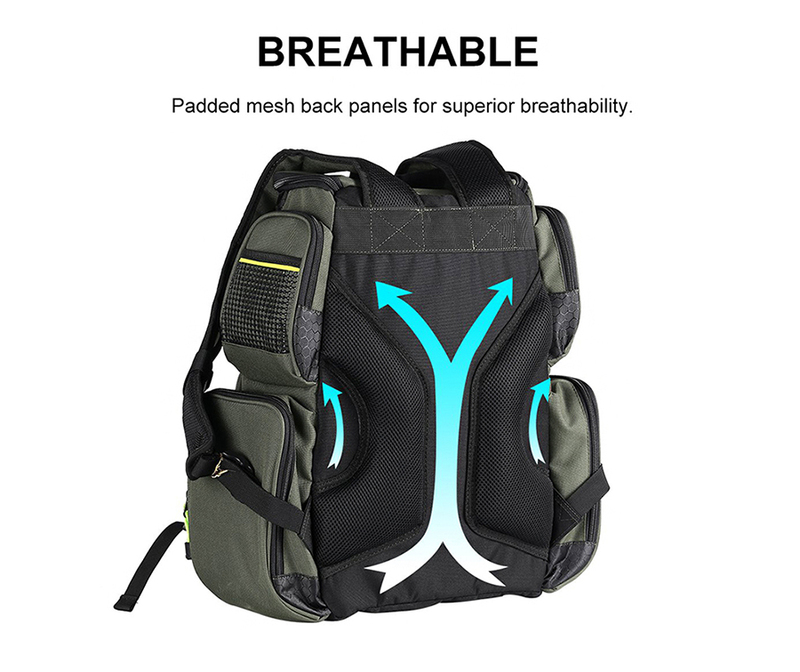 This is another solid option for those seeking a backpack that’s tough, breathable and completely waterproof. 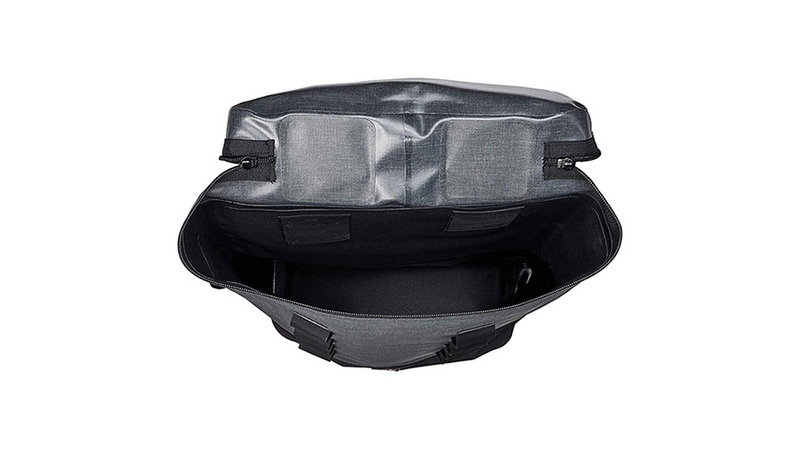 A Class 6 waterproof rating and heat welded seams ensure that not even a drop of water can enter, and the contoured straps reduce the strain on your back and shoulders. The quick dry fabric, moreover, ensures rapid ventilation – so you’ll dry off quickly even in a thunderstorm! 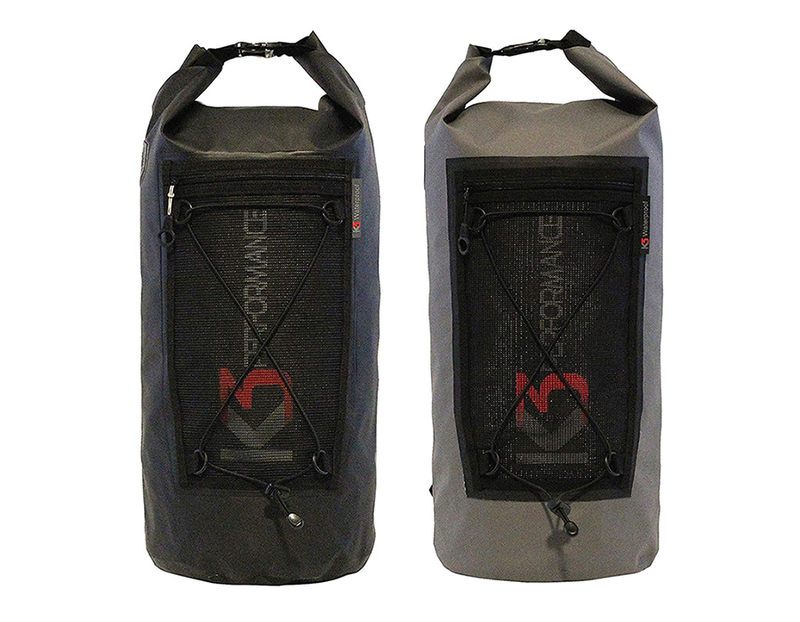 This bag feels like it was designed as an answer to every kayaker’s prayers. 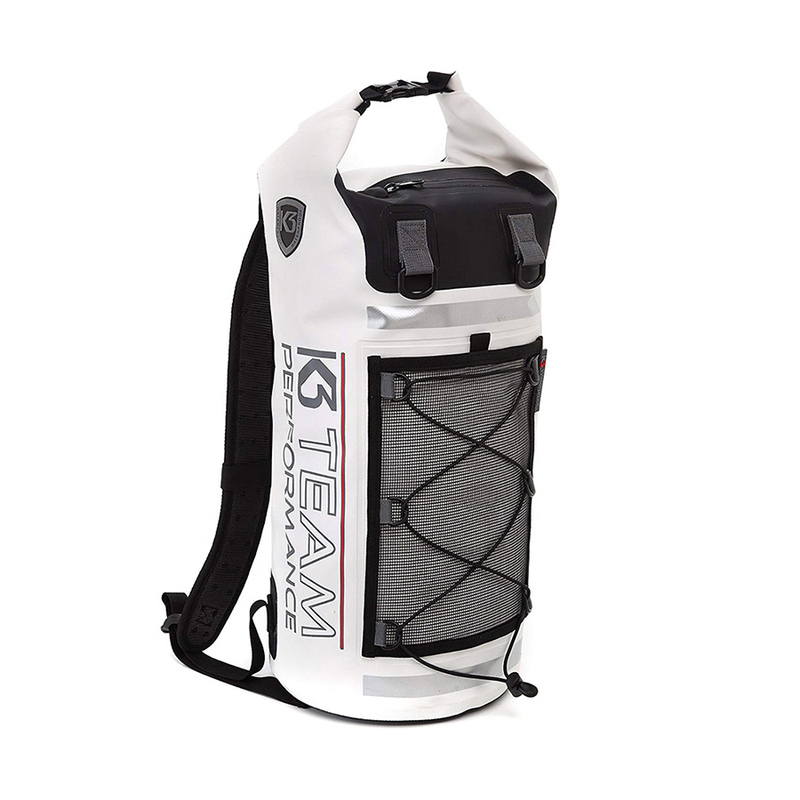 From the roll top mechanism to the reflective strip for night-time visibility, this is one of the top waterproof backpacks for sports lovers. 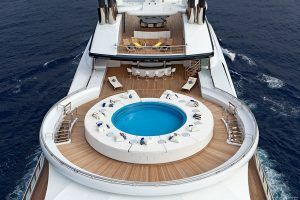 And if you knock it overboard by accident, don’t worry – it floats! So you can retrieve it without trouble and be sure that your belongings are safe. 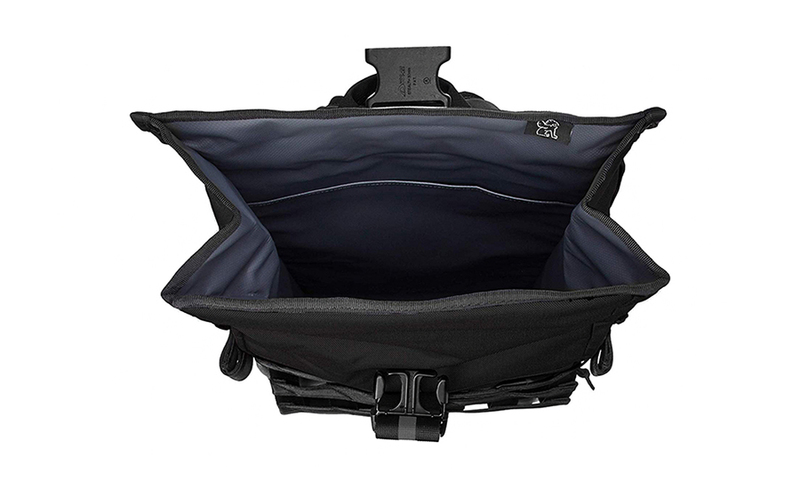 When you’re on a cycling tour, you need a bag that can weather the terrain and hold everything you need. 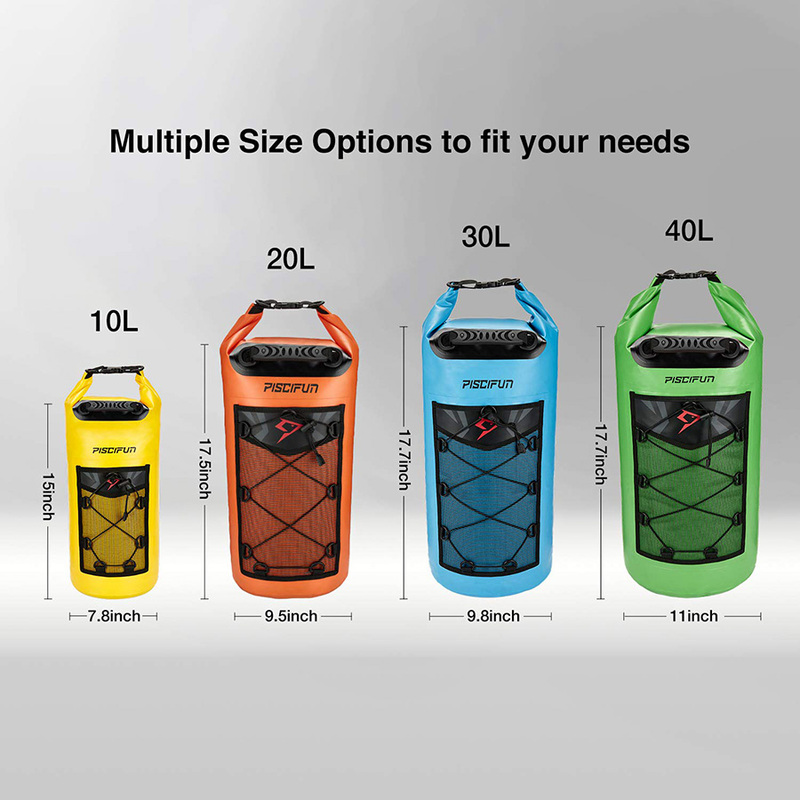 This smartly designed number features multiple storage spaces and removable dividers to store all your belongings, and the rugged base pads keep it safe even when you place it on rocky ground. 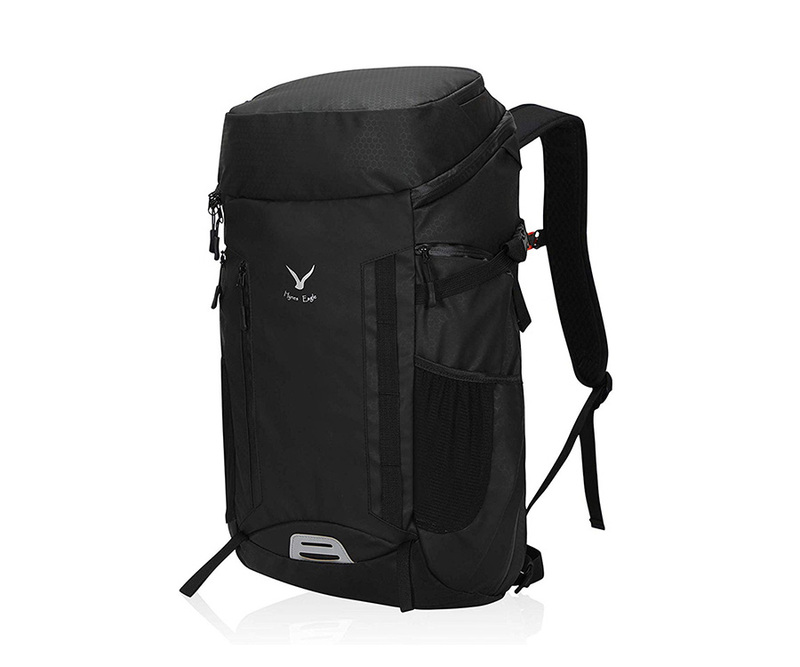 If you’re looking for a quality waterproof backpack for cycling, this fits the bill to perfection. 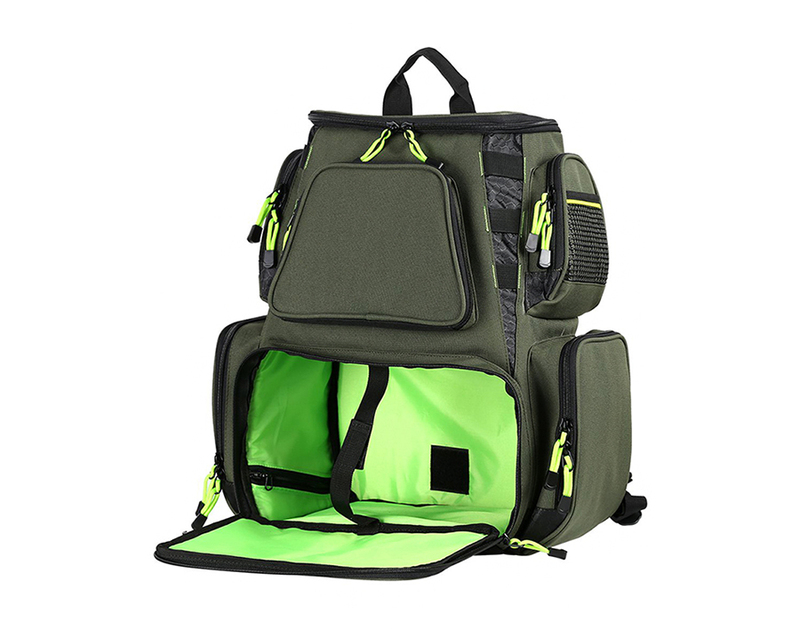 For versatility and convenience, you can’t do much better than this sturdy waterproof backpack for college use. 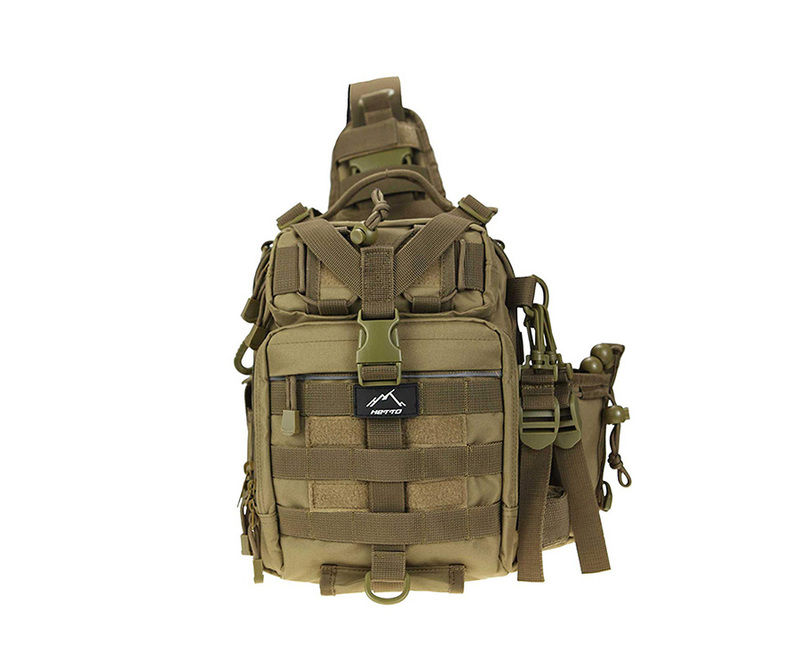 An interior compartment fits a laptop, and an external 5-point cargo system holds objects like race gear or shoes. Needless to say, it is 100% waterproof, and hence perfect for use in season and out of season. 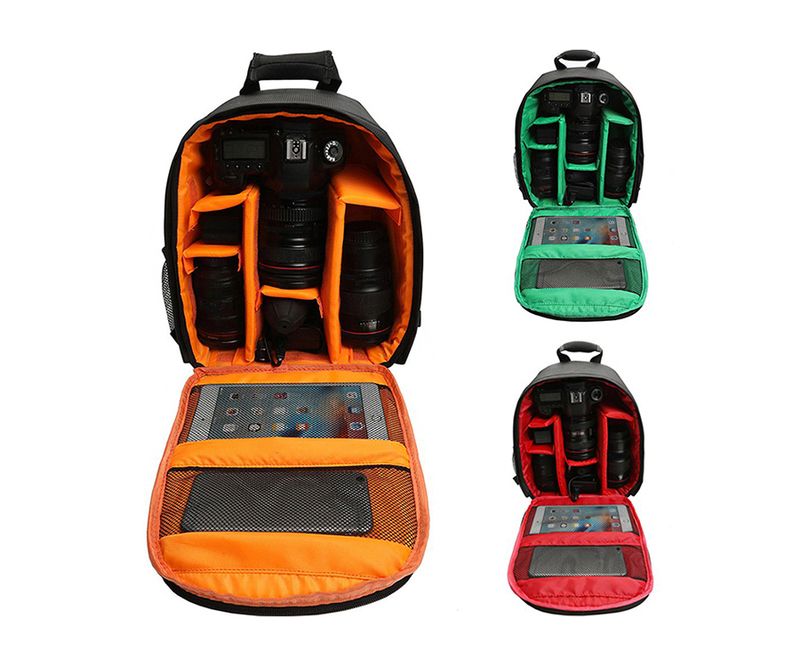 This bag was designed especially to hold the Nikon DSLR camera. With soft-lined compartments for everything from extra lenses to memory cards, this compact number keeps your gear safe and scratch-free wherever you go. 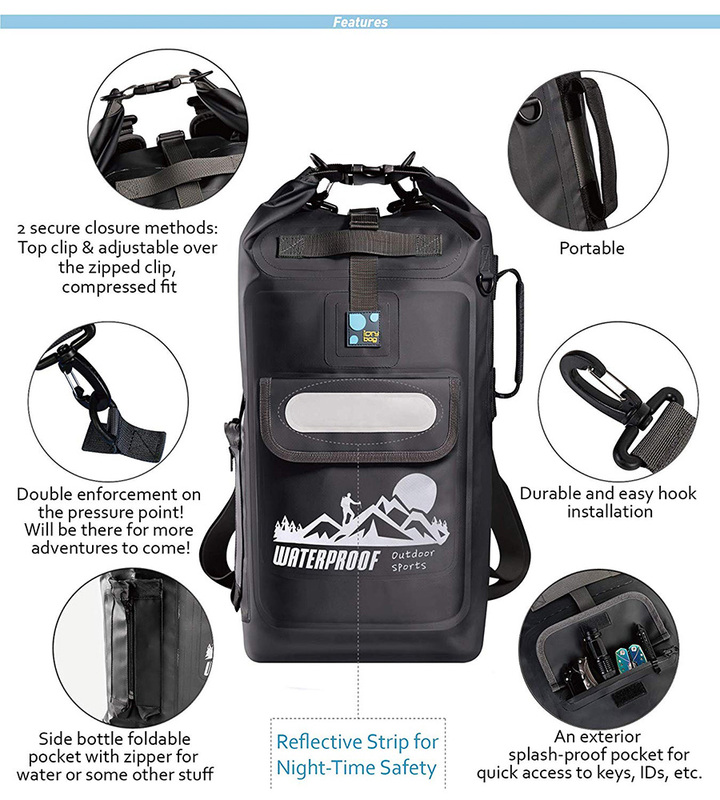 If you’re looking for the ideal waterproof camera backpack, this one’s your best bet. 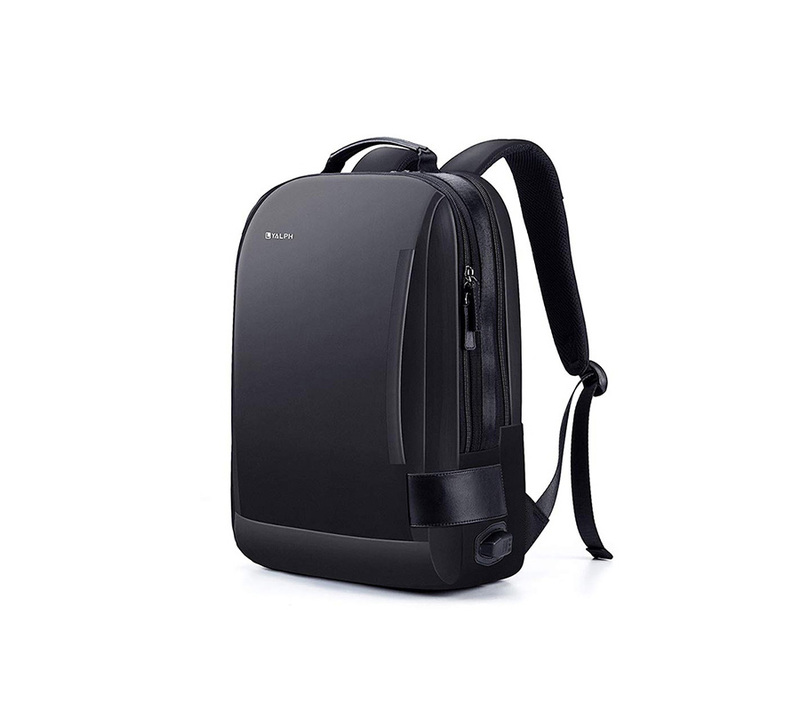 This sleek model is a covetedsmall waterproof backpack, and oneof the best on the market. 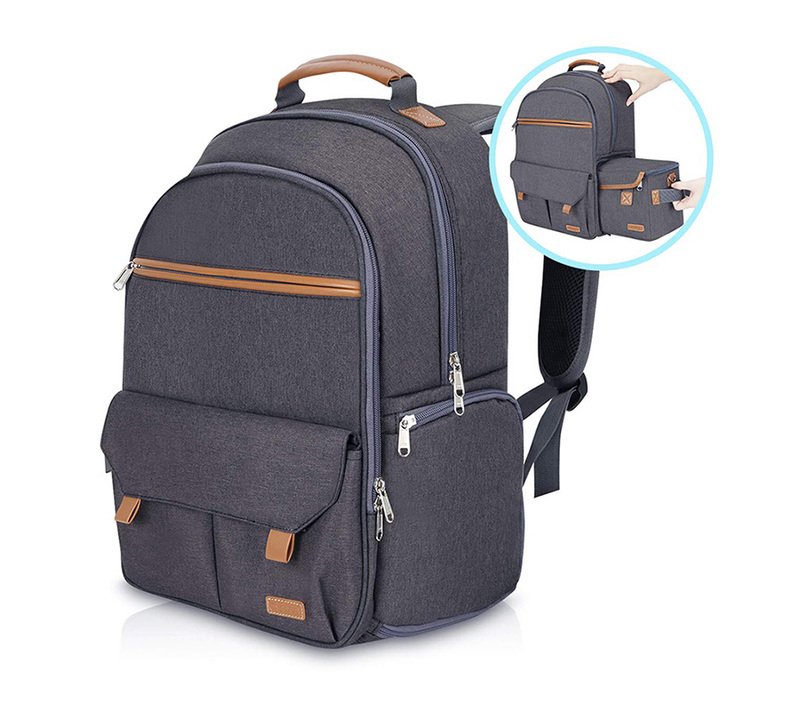 With padded sleeves for an iPad and a laptop, this bag is perfect for the gadget-toting college-goer who seeks style with safety. The five-bar handles for hauling options and the 100% waterproof fabric further sweeten the deal. 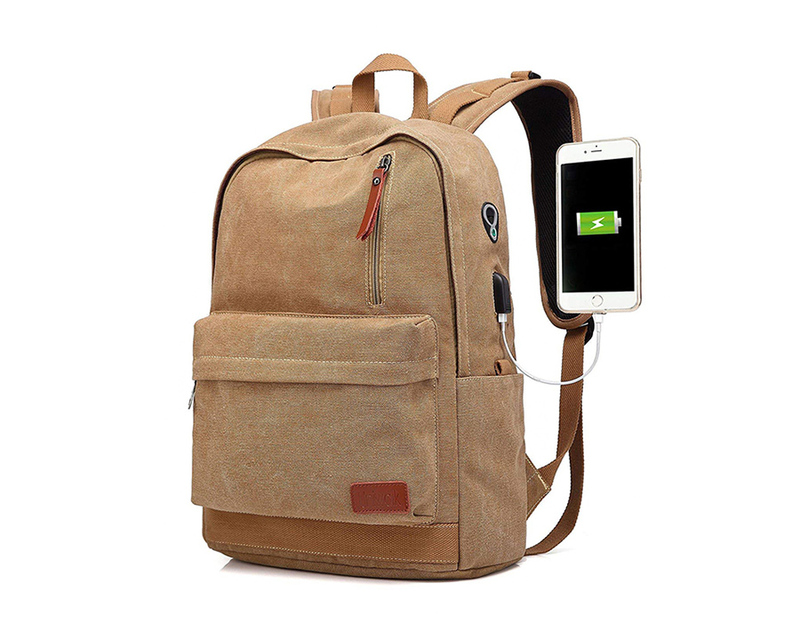 With its stylish brown fabric and its USB charging port, this is the ideal waterproof laptop backpack for students. In addition to the hanger for spectacles and the sleeve for cards, this compact model features a concealed anti-theft compartment for your phone and wallet – so your valuables are safe wherever you go. 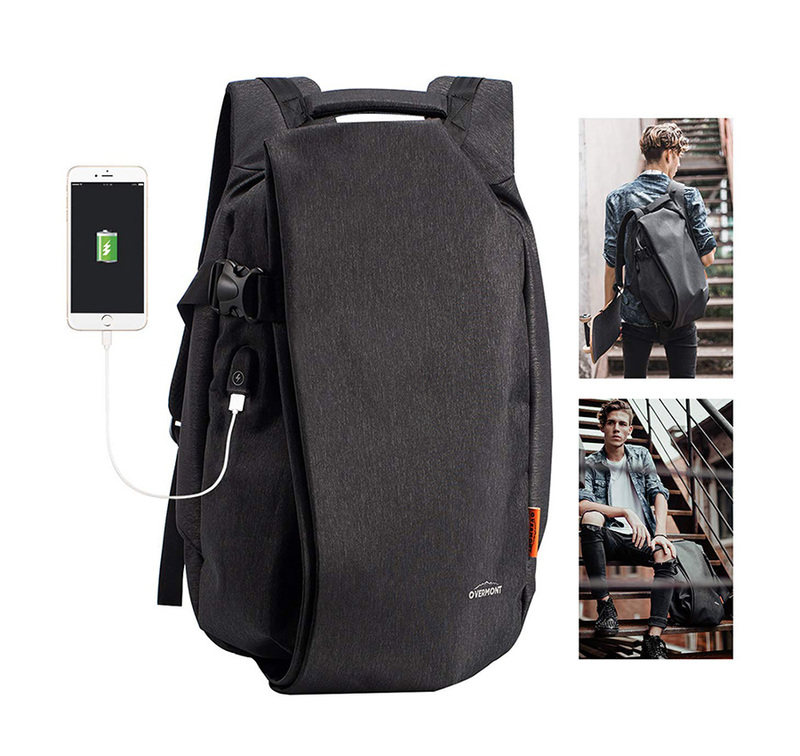 Commuting to work or college on a rainy day is no longer a hassle with this rugged yet stylish waterproof backpack. The Knurled Welded fabric makes it durable and lightweight at the same time, and the reflective detail makes it easy to spot even in dim light. And with a 22-litre capacity, you can carry everything you need, wherever you need. 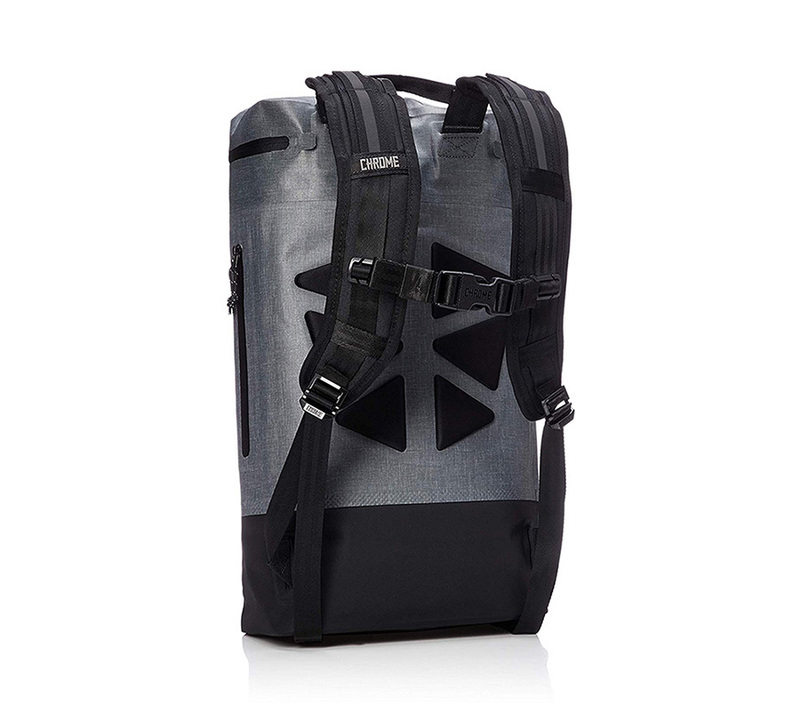 Truly, the Chrome Urban Ex Gas Can Pack is best waterproof backpack for college goers. 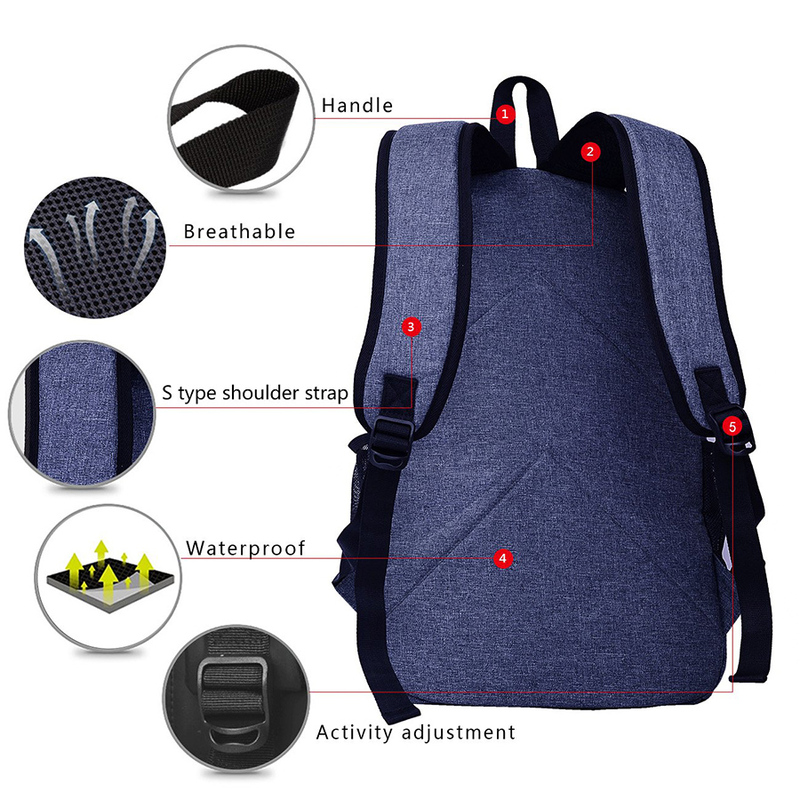 This smart, compact model is one of the best waterproof backpacks for travel. The oxford fabric gives it a stylish textured look while being extremely durable, and the external ports for USB charging and earphones let you listen to music and keep your devices charged. Secret compartments, moreover, keep all your valuables secure. This bag was built for those who live on the edge. 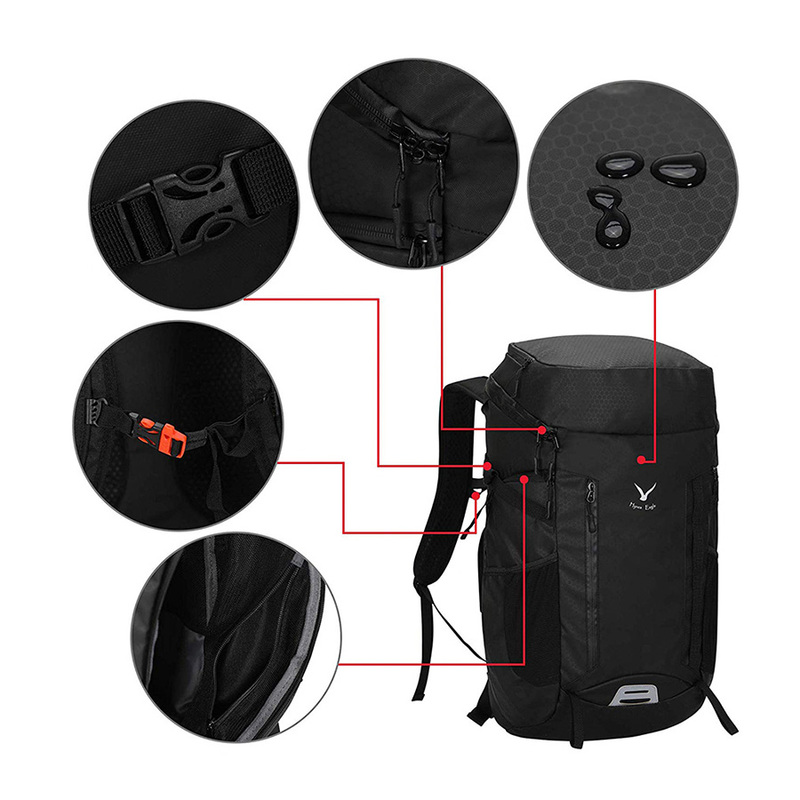 With its carbon-fibre casing and PVC material, this backpack keeps your laptop and other valuables safe no matter how rough the terrain you’re riding, and the curved shape is ideal for handing even onto the backs of your bikes. 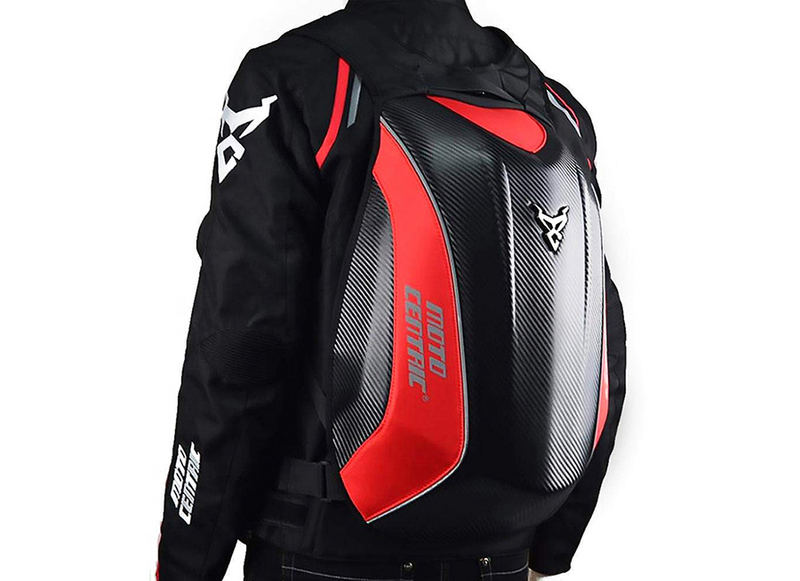 For those seeking a waterproof motorcycling backpack, this durable number does the job to perfection while looking stylish to boot. 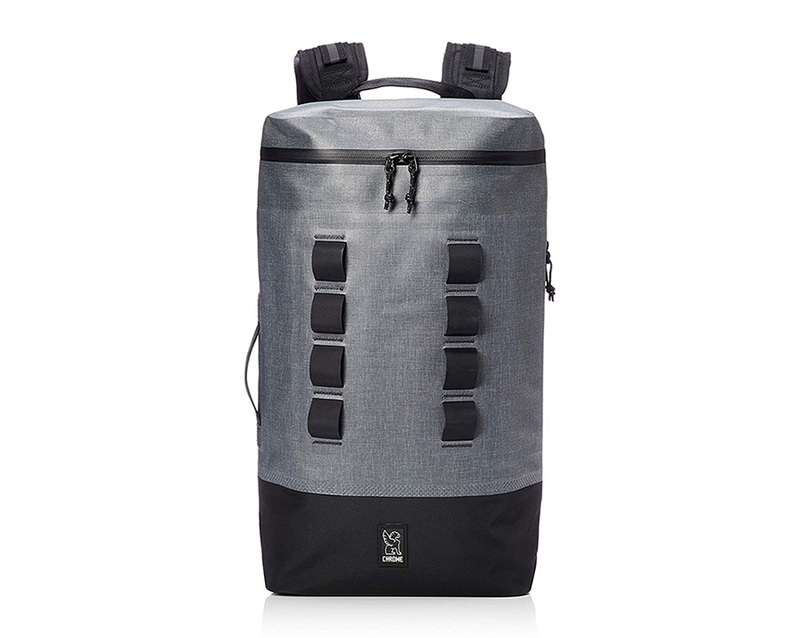 For travel buffs, this polyester bag is the ultimate in durability and convenience. 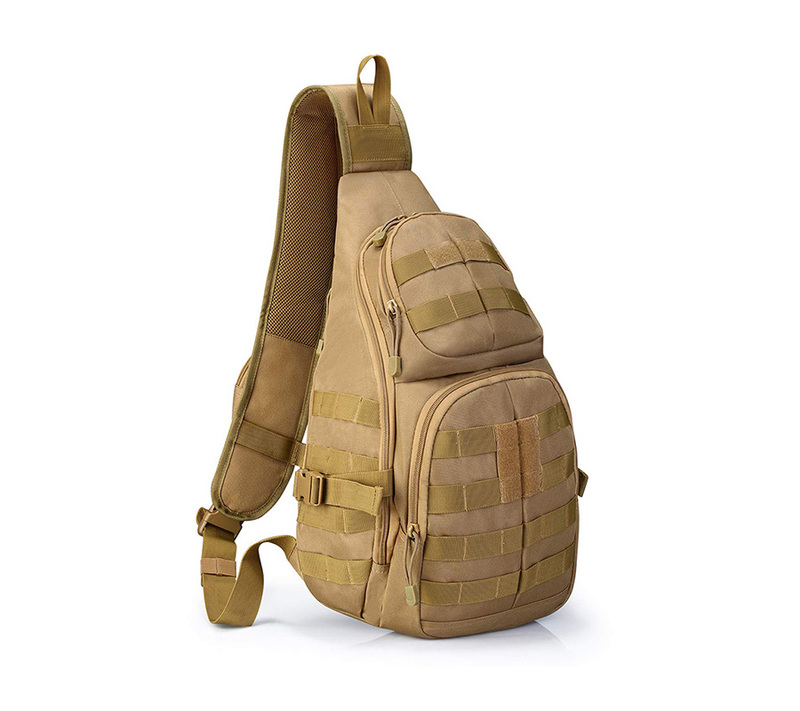 From the reflective straps to the trekking-pole attachments to the survival whistle attached, this backpack is your best friend no matter where you’re going. 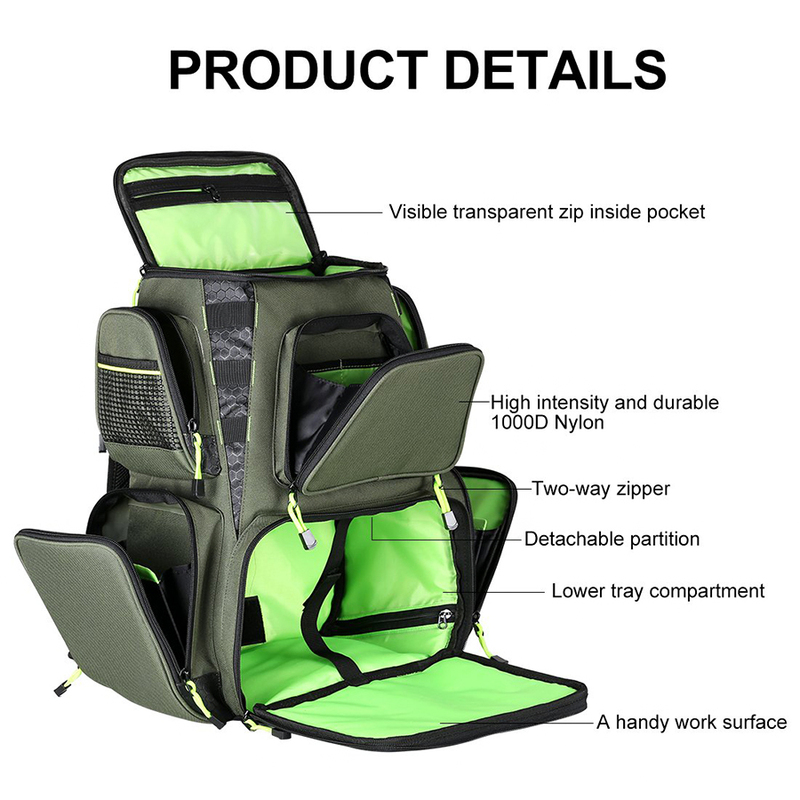 Multiple compartments, moreover, ensure that all your belongings have a place to stay safe – and the daisy chain in front allows you to attach more bags and equipment when needed. 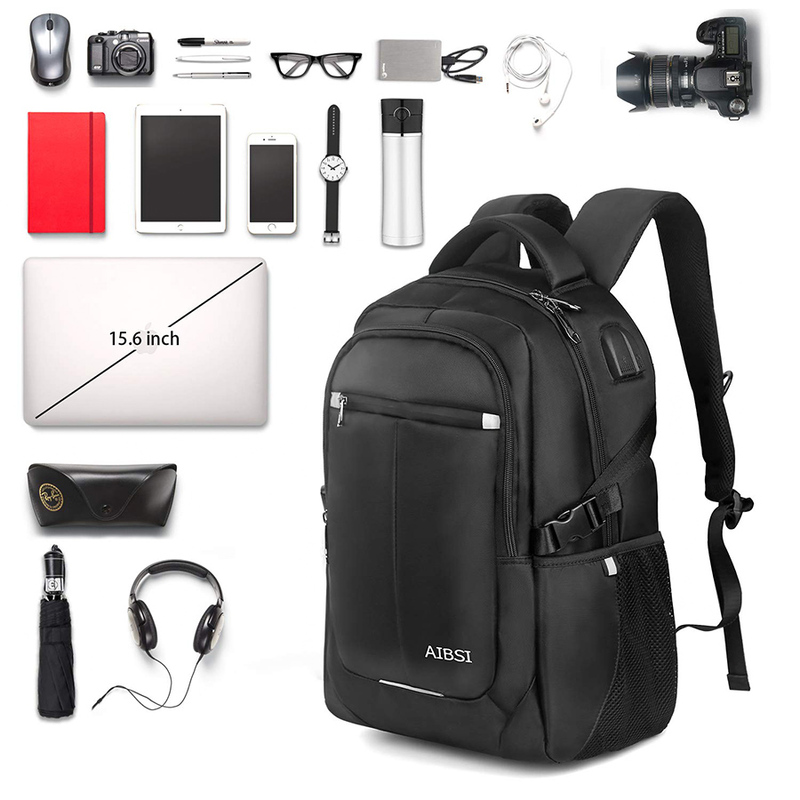 Lightweight, stylish and waterproof, this backpack will win the hearts of every photographer out there. 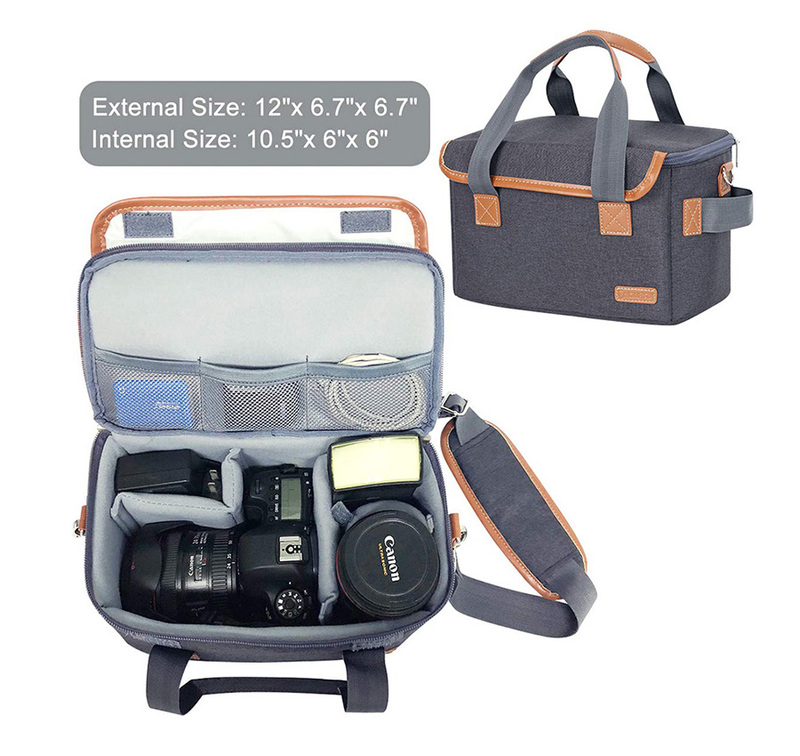 It features a unique drawer-style inner compartment that converts into a separate camera shoulder bag – and separate compartments keep all your gear safe and scratch-proof. 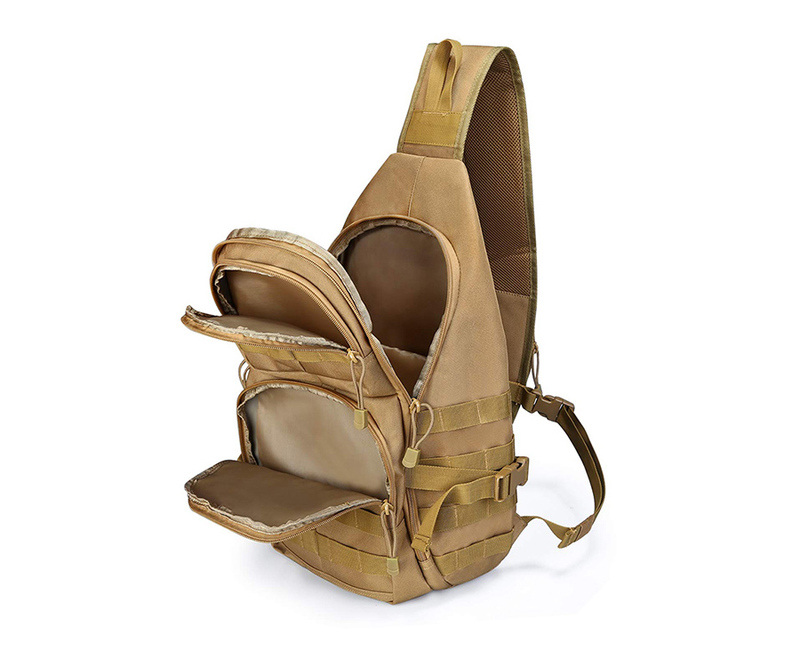 And with a weight of just 1.3 kilograms, this bag is ideal for carrying everywhere – no matter how exotic your shooting location is. If you can’t seem to pack light, you don’t have to. 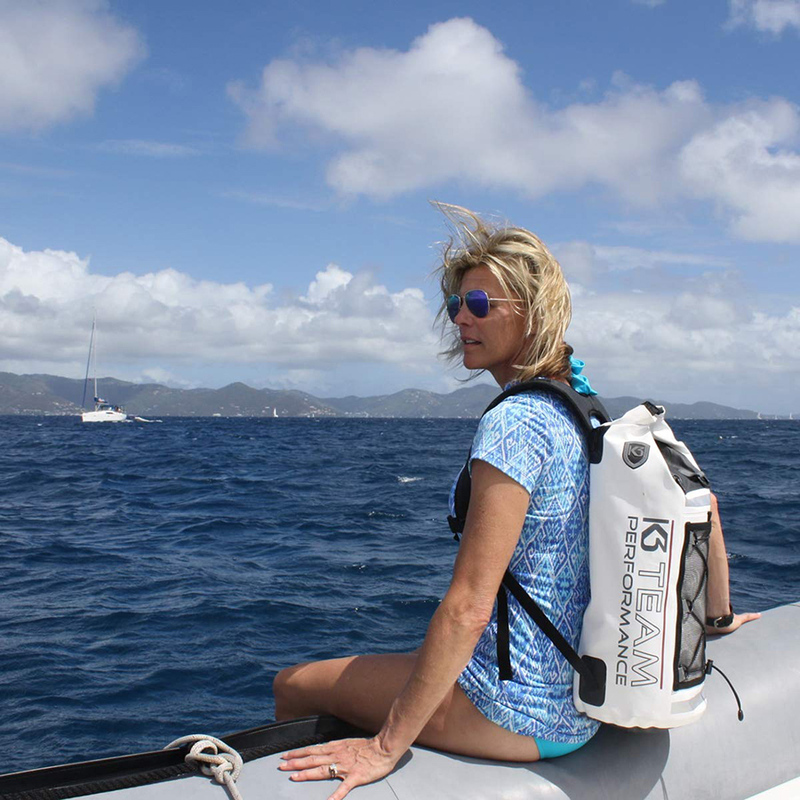 This patented dry backpack features side straps that allow you to attach extra bags on either side – so you can carry everything you hold dear even while kayaking or sailing. 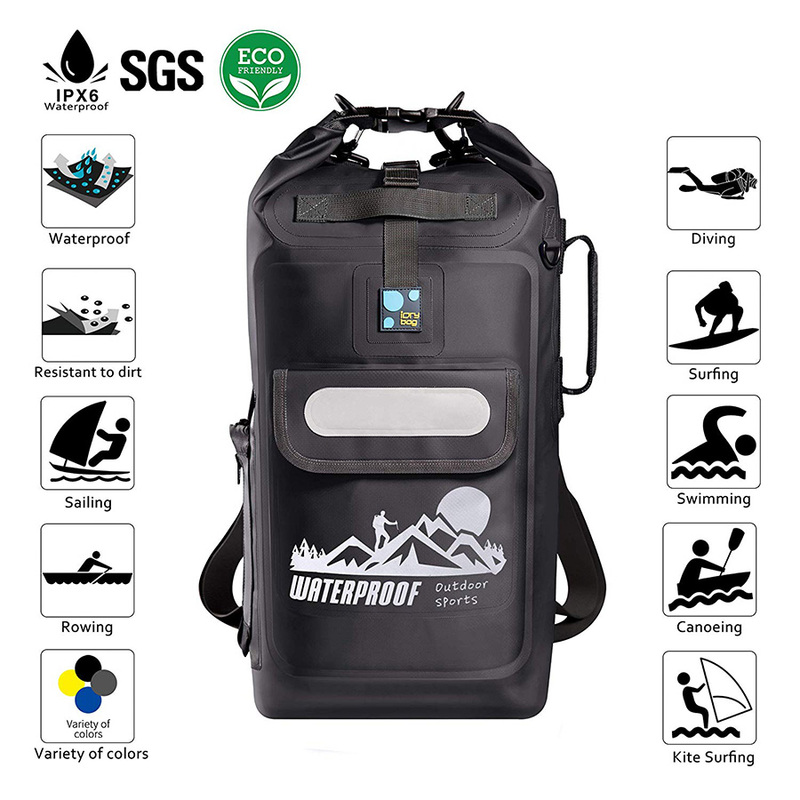 Moreover, this is one of the first transparent bags on the market, so you can always know where everything is at any time – and its floating capability allows you to easily retrieve it even if it falls into the river. 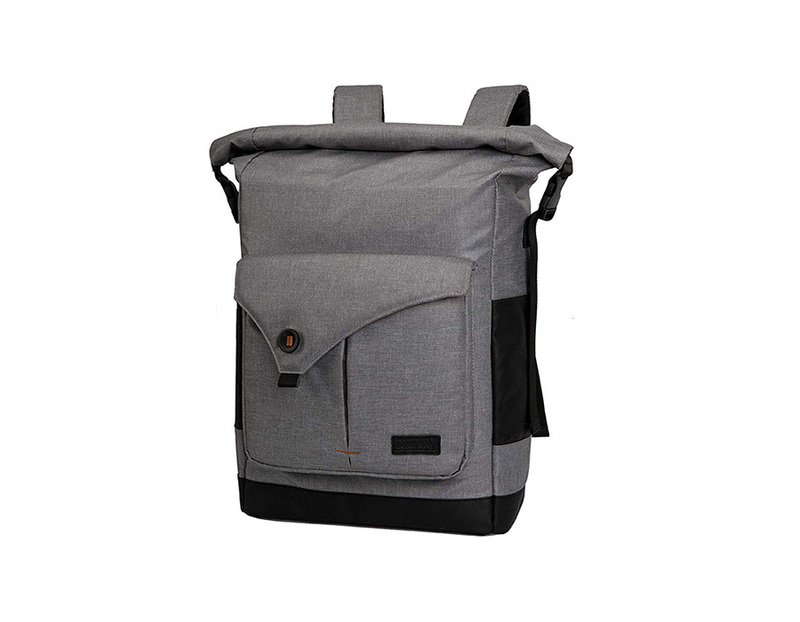 This elegant dark grey backpack is both a fashion statement and a top-of-the-line camera holder. 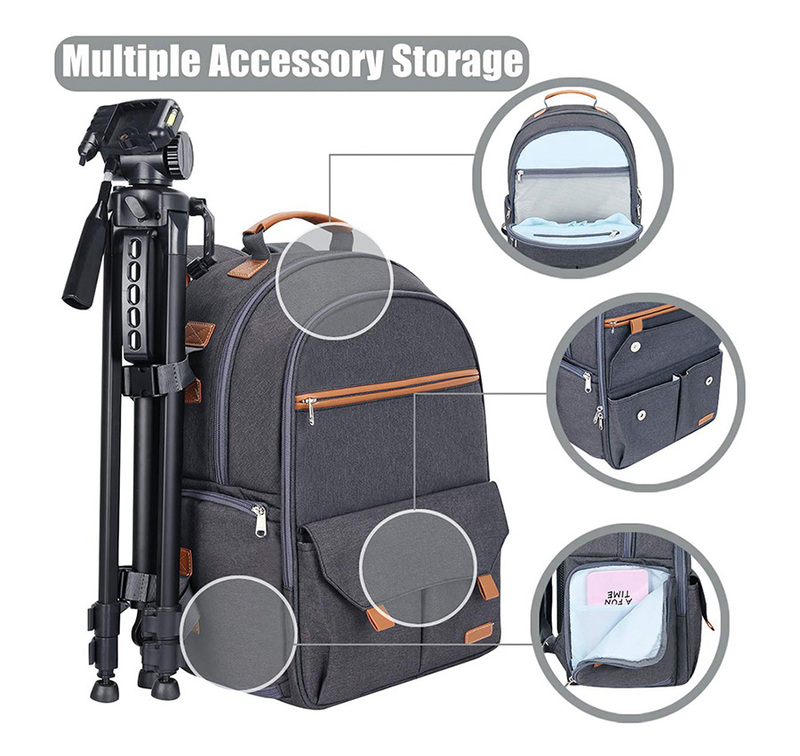 The separate compartments hold all your gear safely, and the flexible cord at the bottom can store a tripod or umbrella. 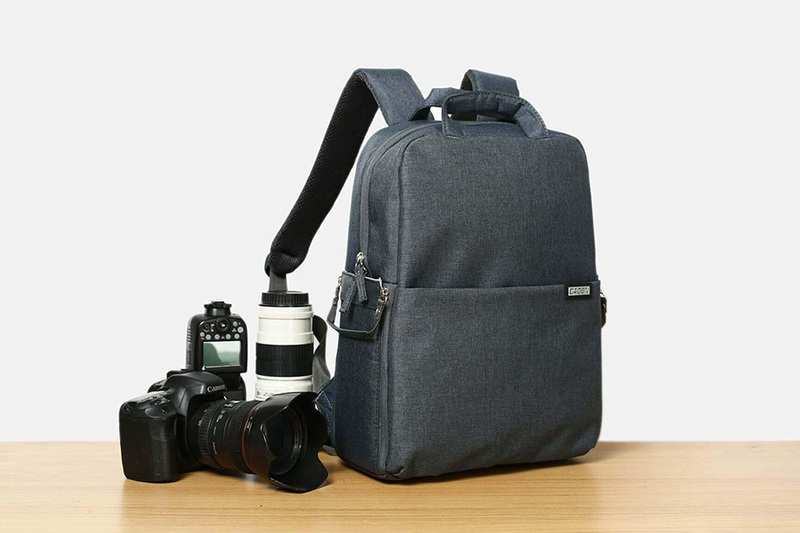 You can customise the compartment linings to suit your mix of camera equipment – and with a few simple adjustments, the bag transforms into a regular casual bag for your next outing. 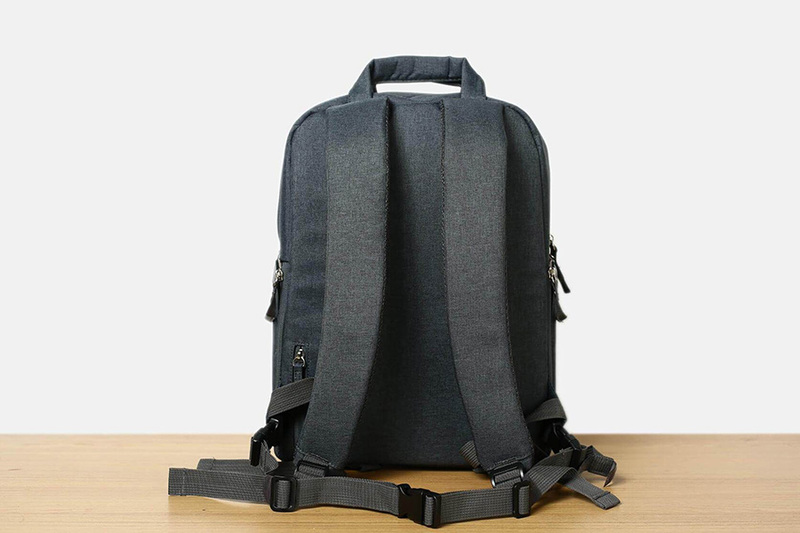 If the sleek grey appearance weren’t enough, this backpack offers a full 180-degree backside opening feature that allows you to show your laptop at official checkpoints without taking it out of the bag. 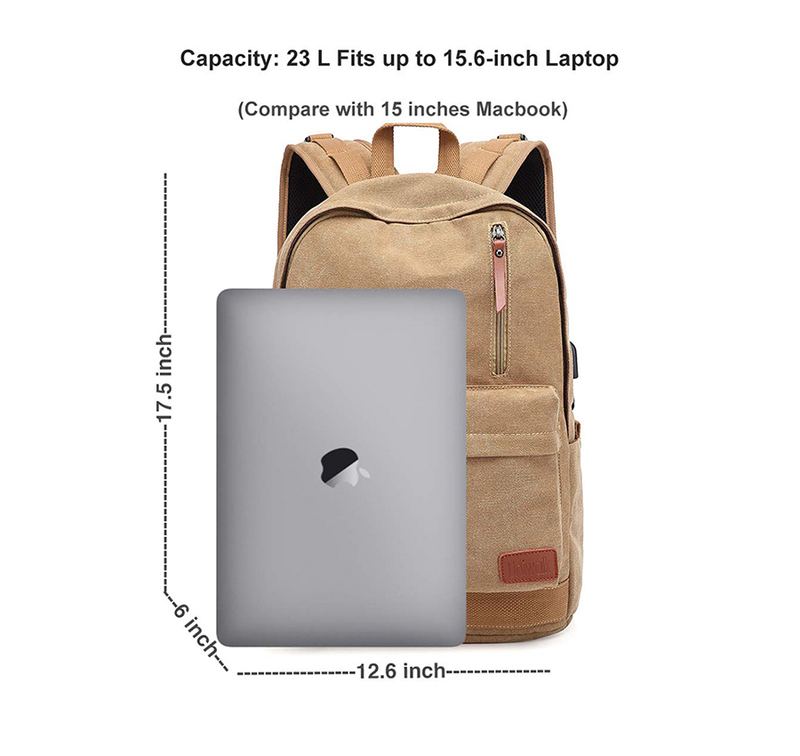 The waxed waterproof canvas gives it a leather-like appearance, and it is 30% lighter than the average laptop backpack at just 1.2 pounds. 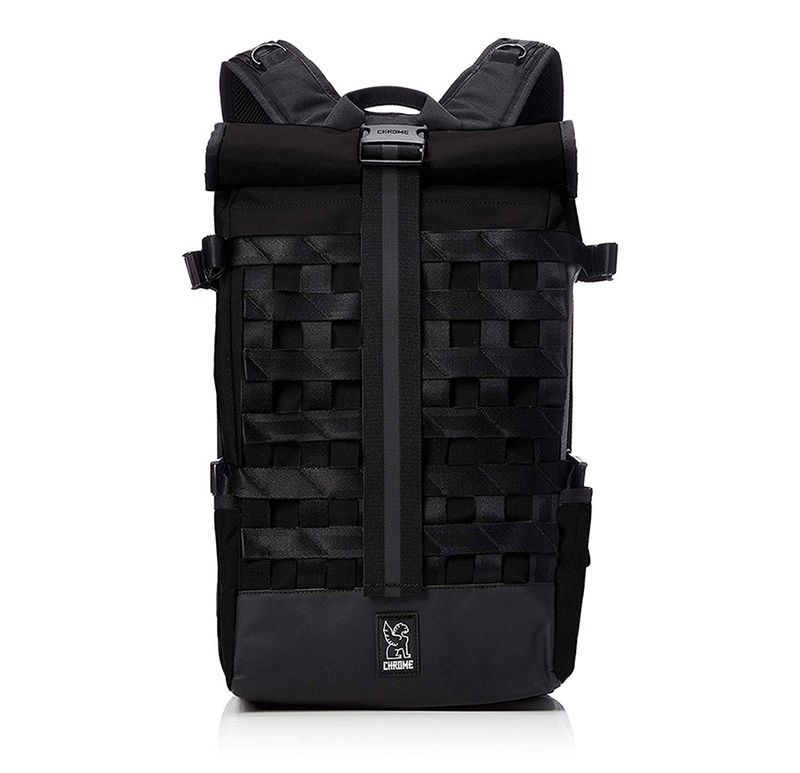 This bag is your best bet if you seek minimalistic style with all the ruggedness of a top-notch waterproof backpack. 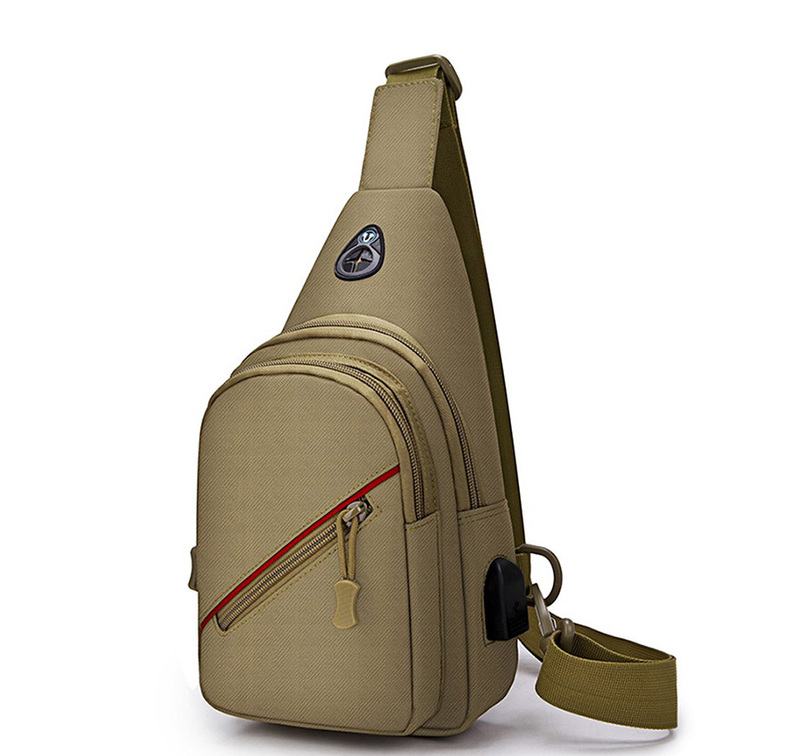 When it comes to small backpacks for daily use, it doesn’t get much better than this compact model. Lined compartments keep your laptop, iPhone and iPad separate and safe, and the USB charging port lets you charge them on the go. 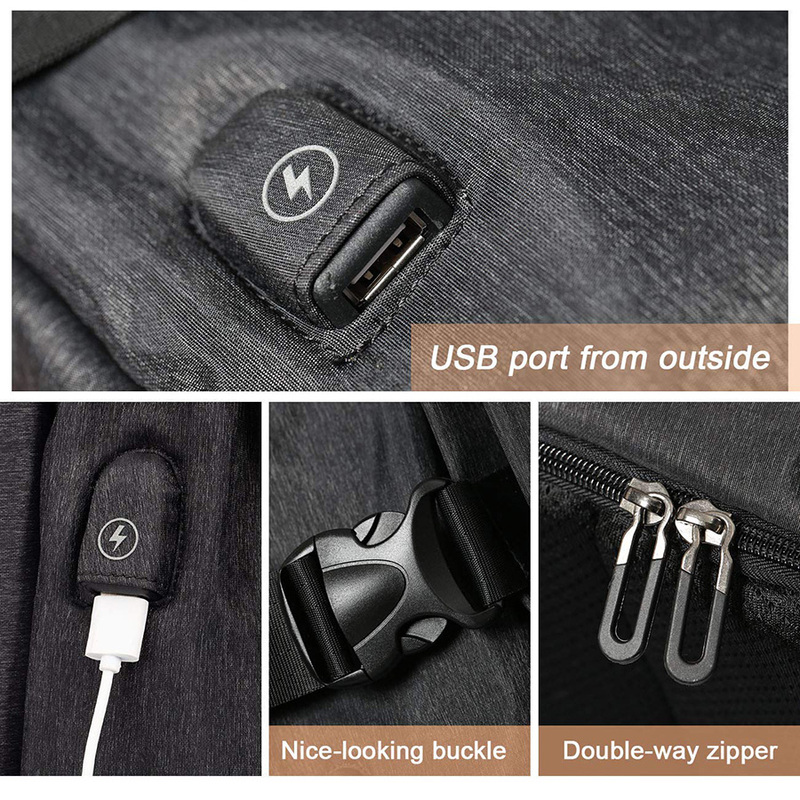 Concealed anti-theft zippers, moreover, keep everything safe from prying hands – so you can commute to work or school with a secure mind. 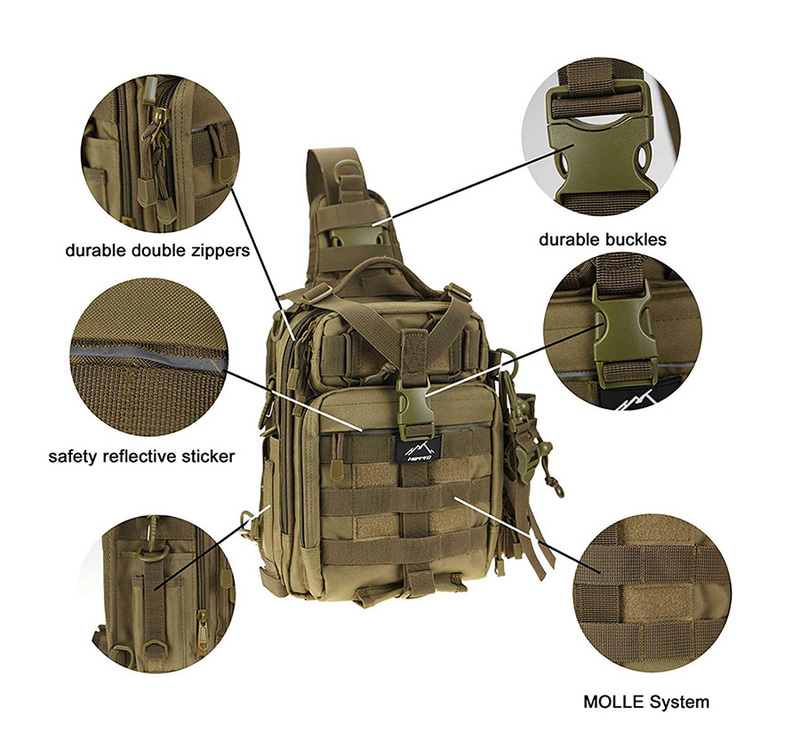 This bag was designed with military precision, and it shows. 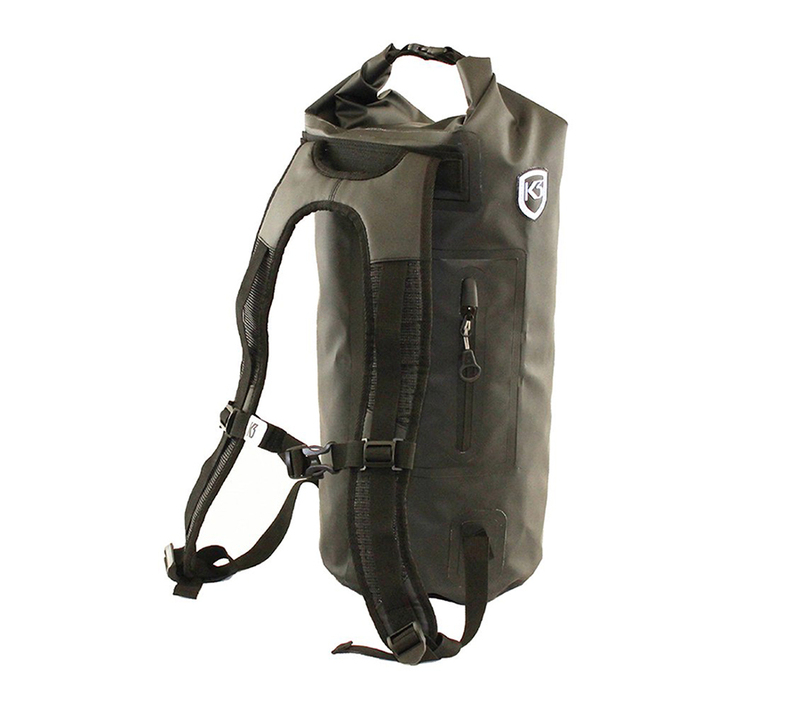 Made of water-resistant, abrasion-resistant 1000D Nylon, this waterproof tactical backpack is the ideal choice for the intrepid fisher who likes keeping each piece of gear safe and separate. The bag also doubles up as a cross-body or sling-back option, making it perfect for regular use. 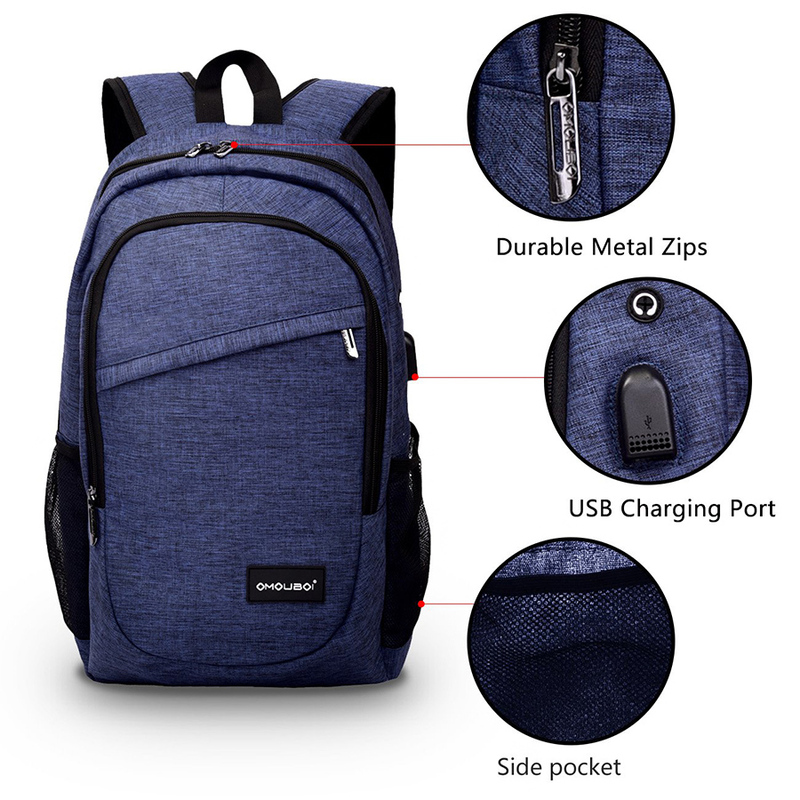 Anti-theft gets a makeover with this stylish travel-friendly laptop backpack, which comes with hidden compartments and a password-protected lock to make sure that no pickpockets can sneak inside. 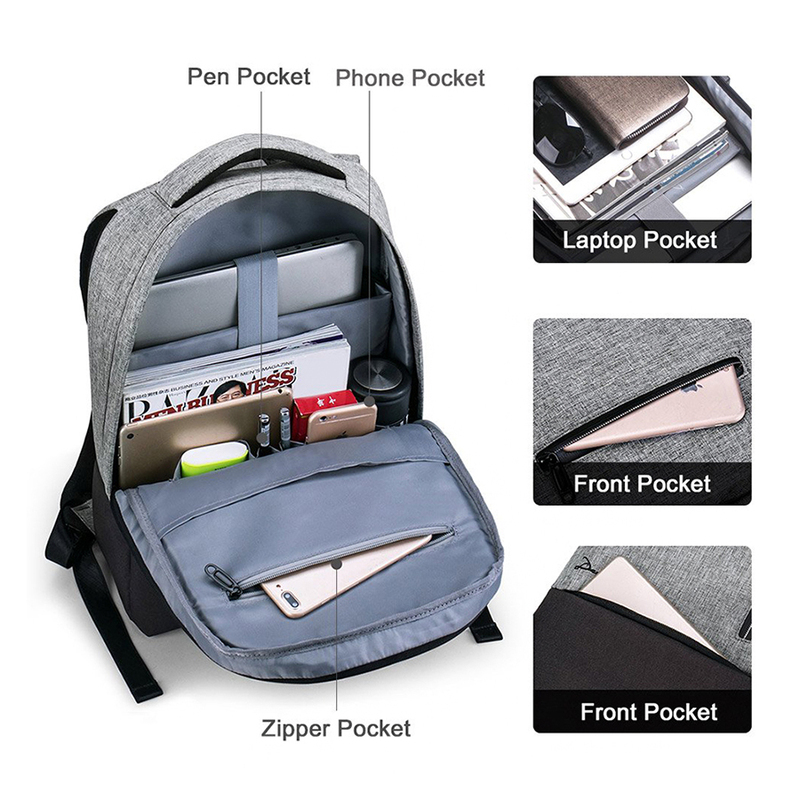 Made of durable eco-friendly fabric, this compact number keeps your gadgets secure and is lightweight enough for daily use – school and college goers should opt for this without a second thought. 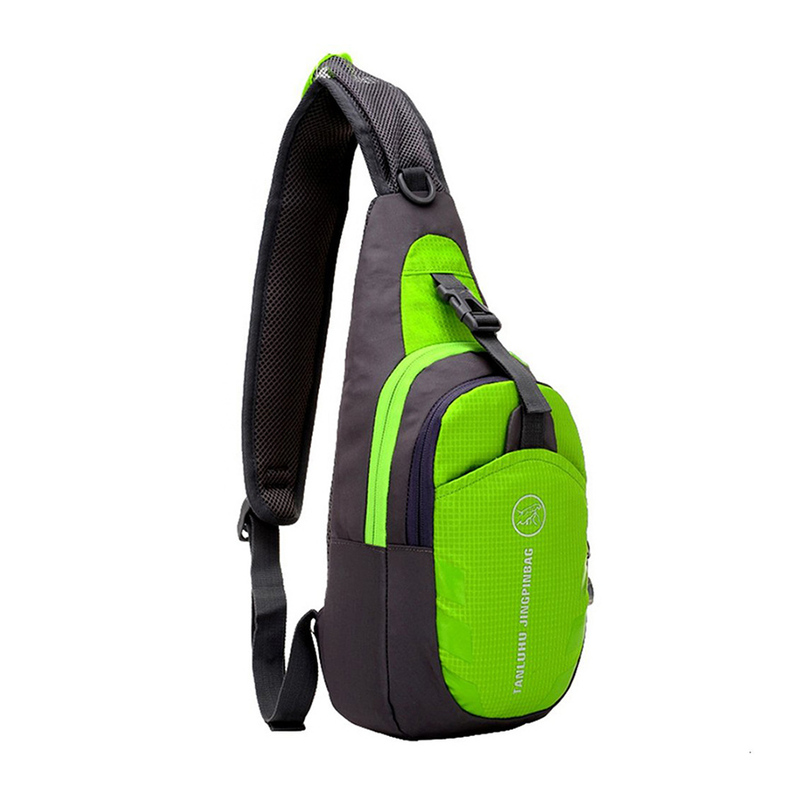 In today’s world, multi-purpose is the way to go, and this stylish waterproof cycling backpack embodies that perfectly. 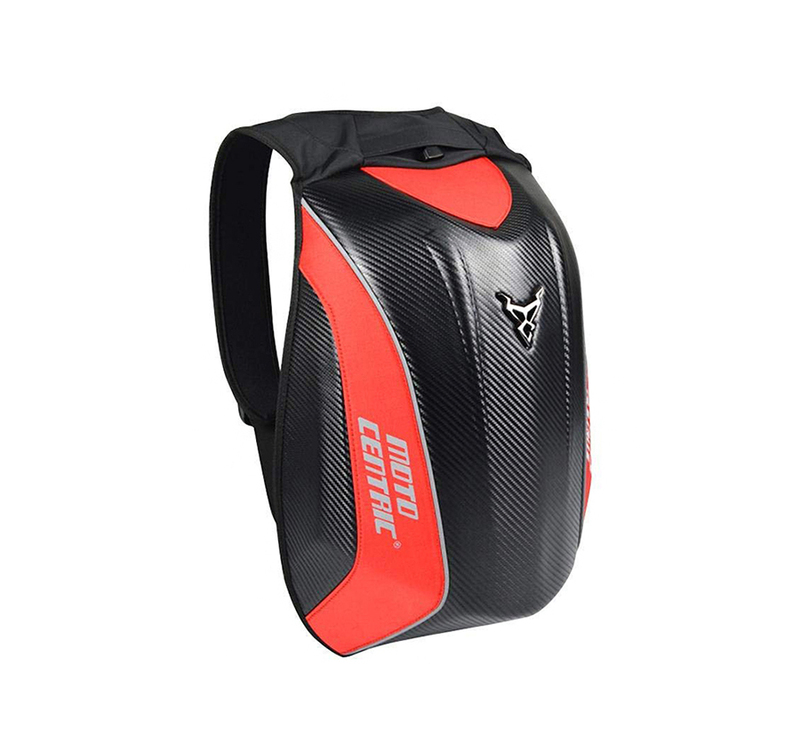 The 3D honeycomb style makes this model extra comfortable to wear, and the sturdy shoulder strap keeps the bag in place even when you’re cycling or running. A cotton gasket, moreover, helps to absorb any shocks – making it perfect for storing laptops or iPads. 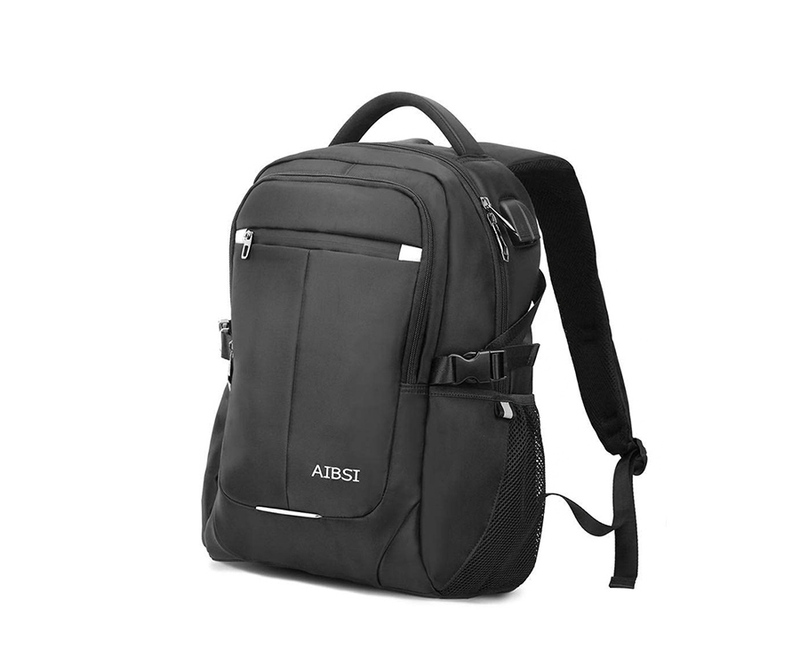 Business bags need to be as secure as the data stored within in. 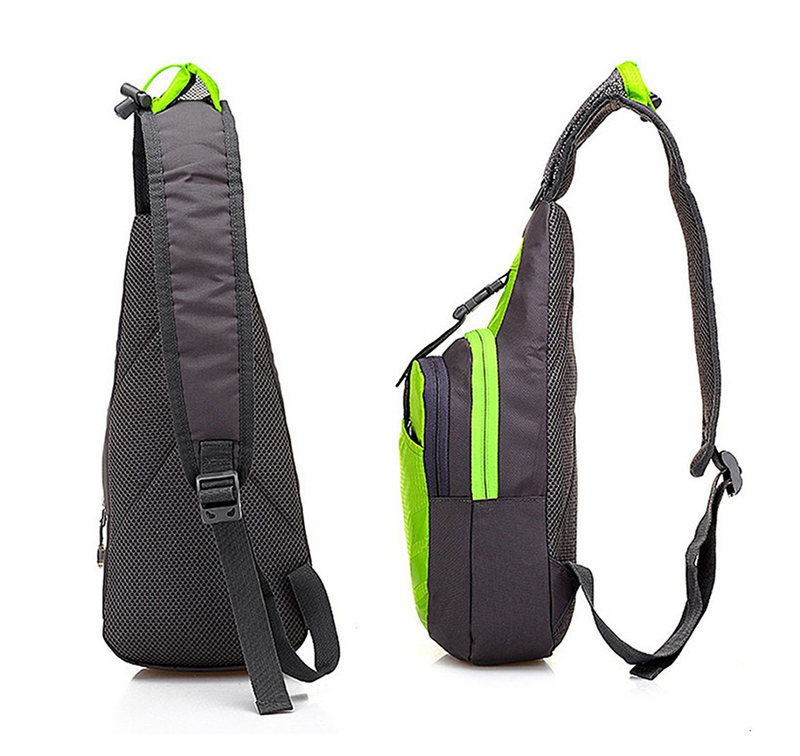 And this sleek compact number, with the ergonomic design and the durable waterproof material, fits the bill superbly. Thick inner partitions keep your laptop safe and also guard against scratches from sharp objects in case of any collisions. The earphone port allows you to enjoy music on the go, and the heat-dissipating back fabric helps keep the back cool. 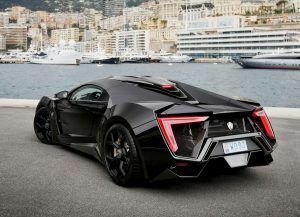 Those who are on the go all day can do no better than to invest in this stylish model. 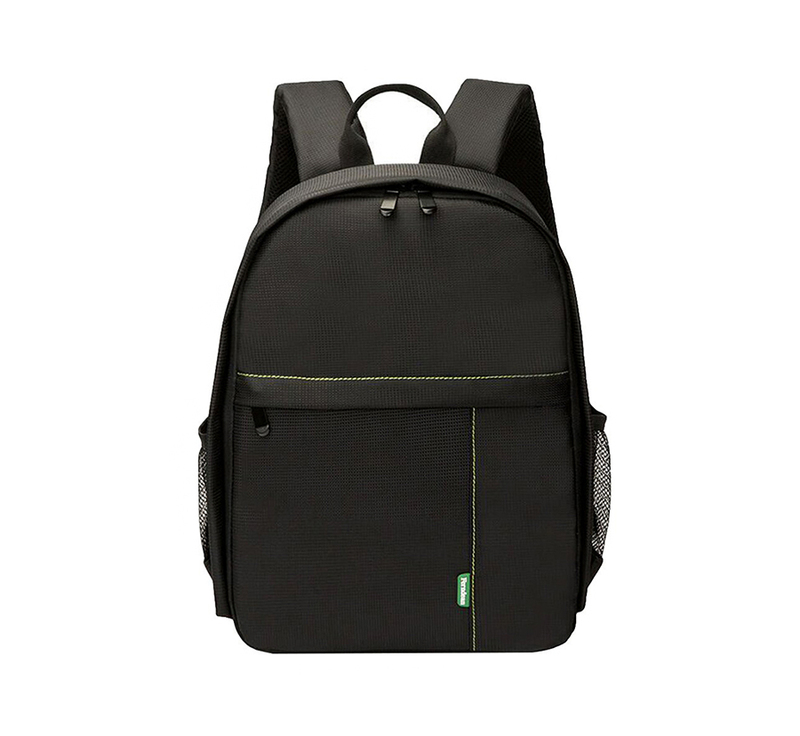 Durability, convenience and safety come together in the most stylish way in this sleek backpack. It comes with a separate cup that lets you carry your favourite beverages on the go, while multiple pockets help you keep each item safe. 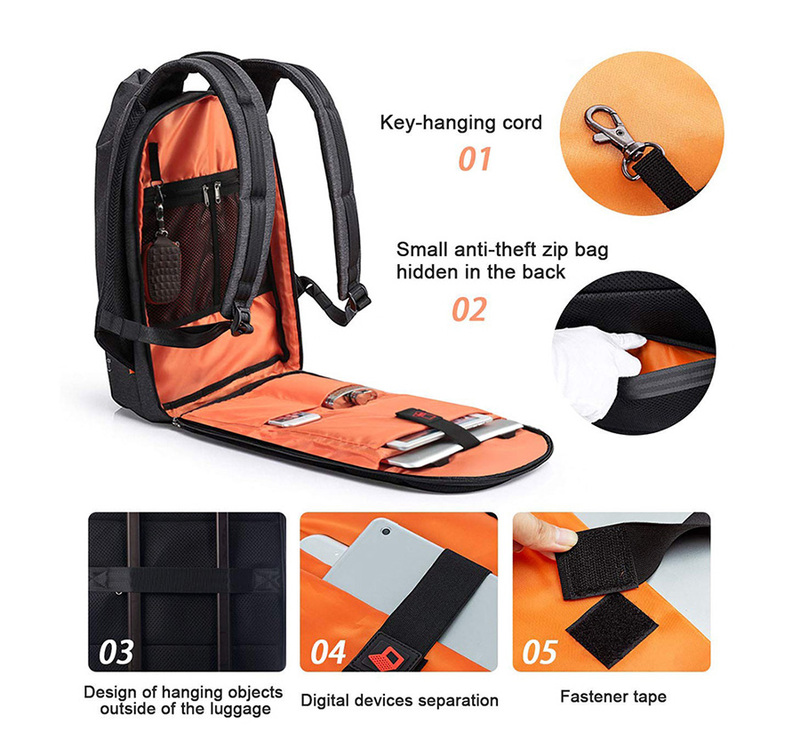 With the combination lock and durable zippers, moreover, you are secured against any theft attempts – so you can travel in style all day with an easy mind. 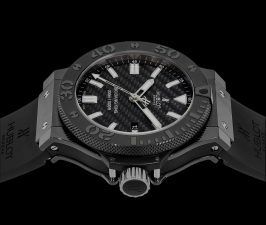 This rugged model designed in white and black is the most stylish option out there for sports enthusiasts. 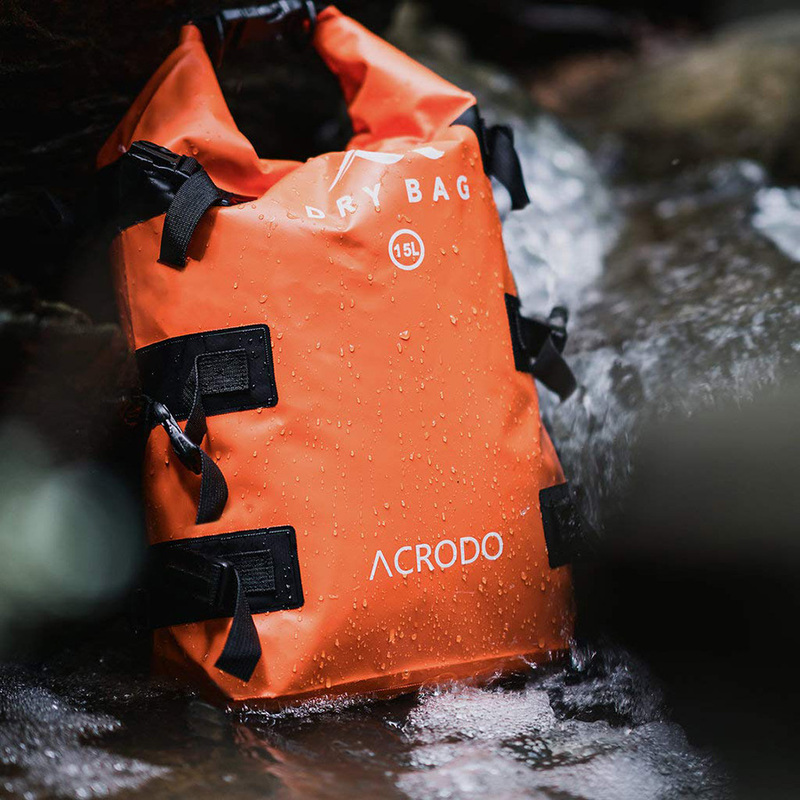 Built out of sturdy tarpaulin with a Class 6 Waterproof rating and RF heated waterproof welded seams, this bag will withstand the toughest of conditions as you travel the rapids or climb mountains. Adjustable straps help you distribute weight and reduce stress, while the roll-down closure system keeps your things safe in snow, sand and rain. When you travel light and travel rough, the slingback is the way to go. 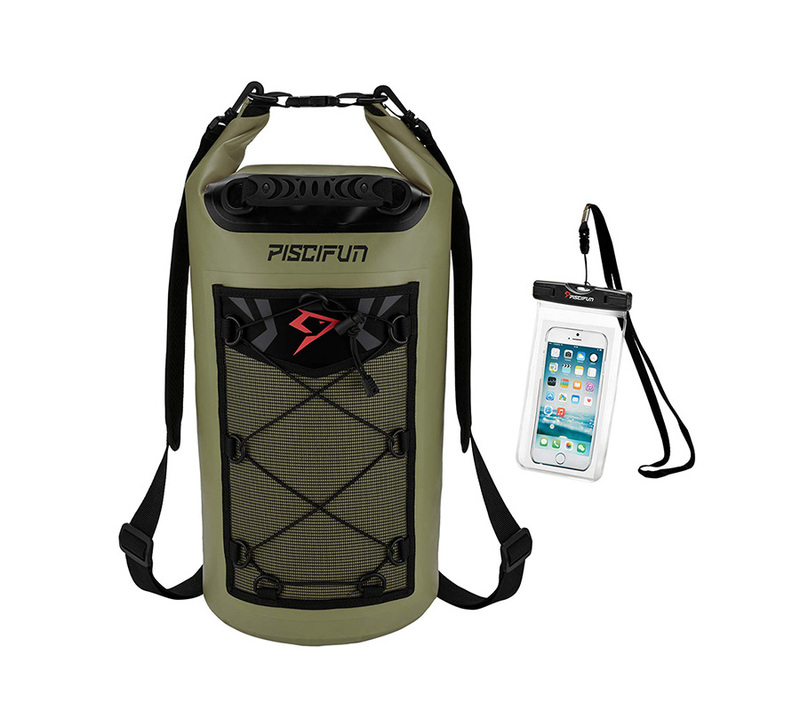 And this ultra-tough model made of tear-resistant nylon will keep your belongings safe no matter where you choose to hike, bike or run. And with a weight clocking in at only 5.5 ounces, your back will be free of strain – leaving all your strength for the rough terrain ahead. 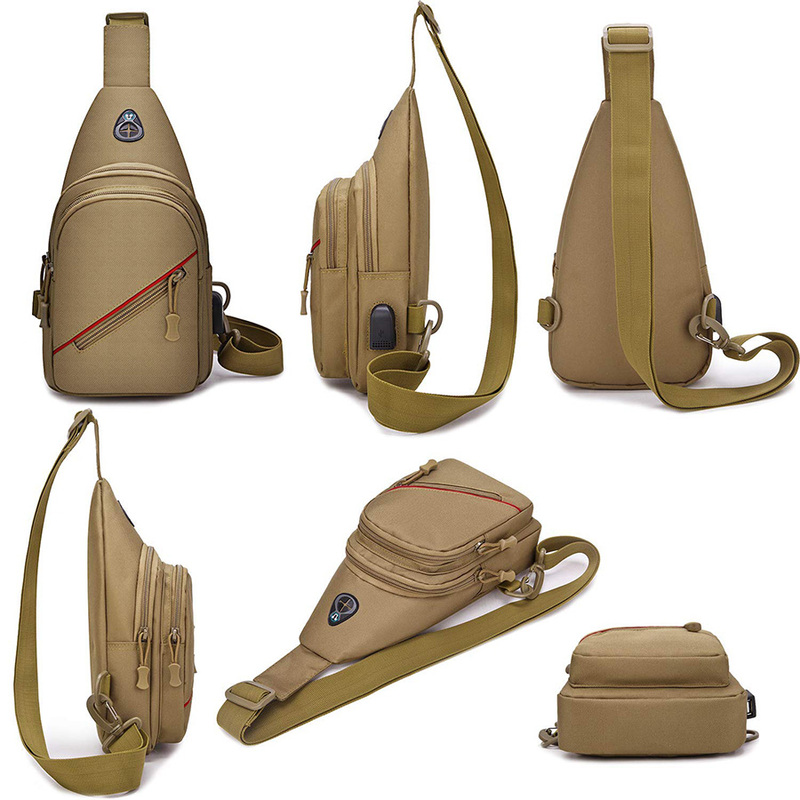 Military precision and a reversible, adjustable shoulder strap make this stylish crossbody model your best bet whether you’re camping, cycling or hunting. 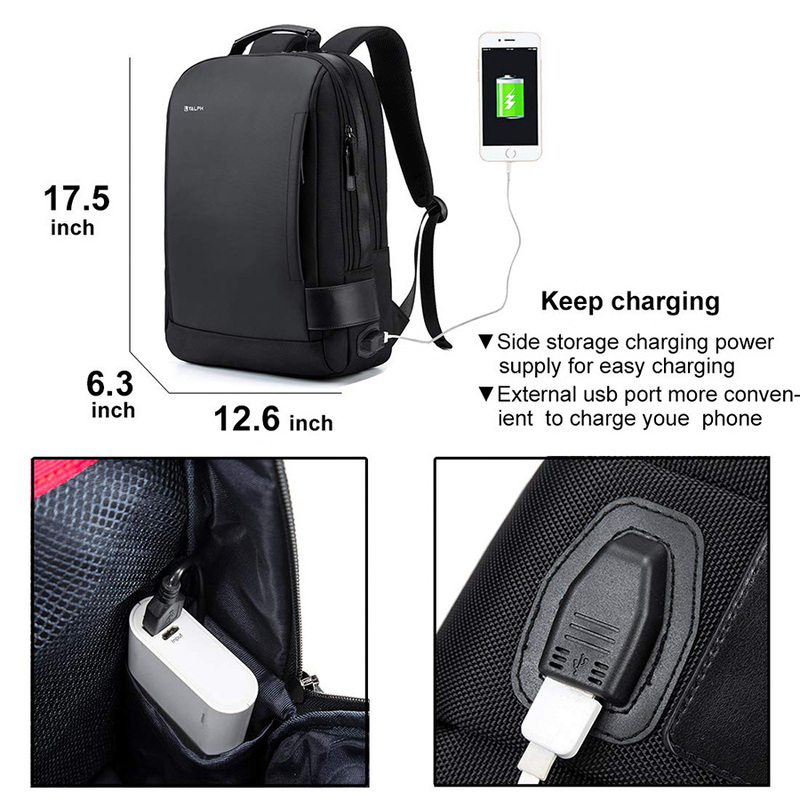 The military nylon fabric and lining make the bag durable and waterproof, and the USB port allows you to keep your devices charged wherever you go. With its compact size, this model is ideal when you’re travelling light, but also has the strength to hold up perfectly under heavy loading. 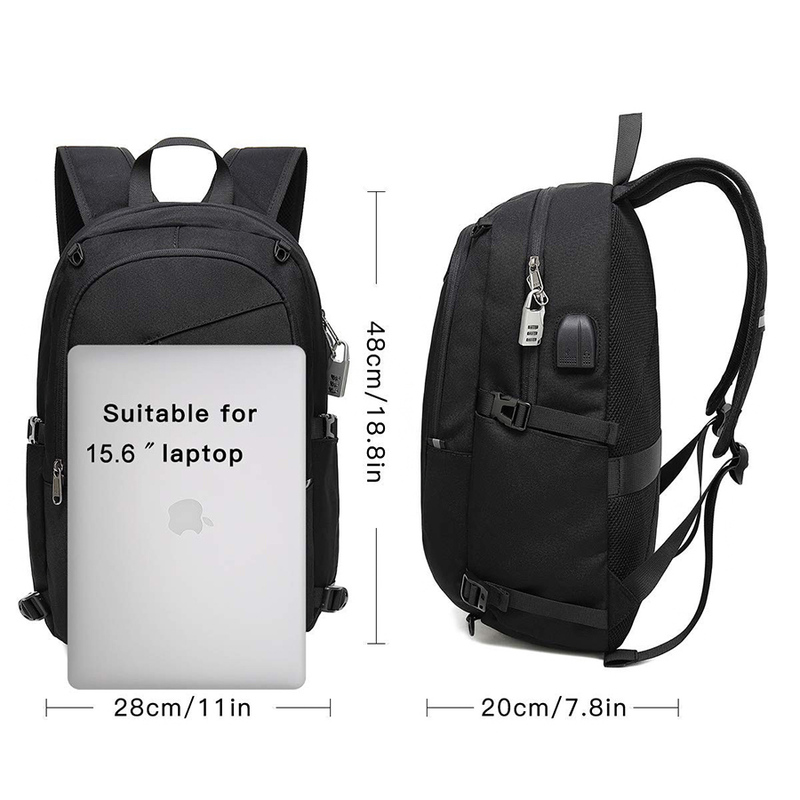 Jobs often involve a great deal of travelling, and you need a sturdy backpack option for those days. 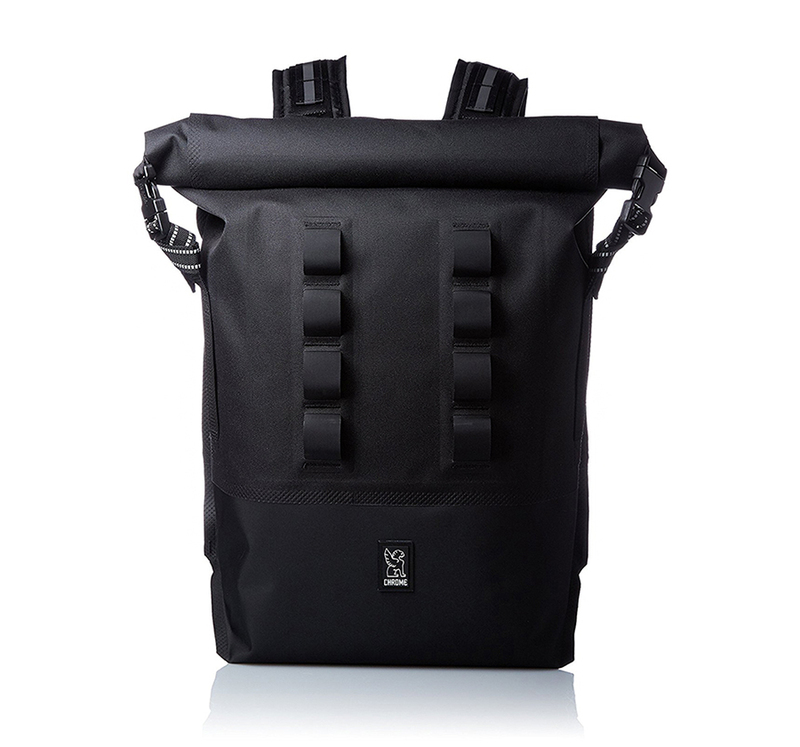 This sleek black number fits the bill like no other, with its lightweight durable fabric and unique waterproof coating. A shock-proof internal air cushion protects your laptop and iPad from harm, while separate compartments store your binders and small objects with ease. A password lock keeps the bag safe from thieving hands, and a hidden back compartment stores your wallet and other valuables. 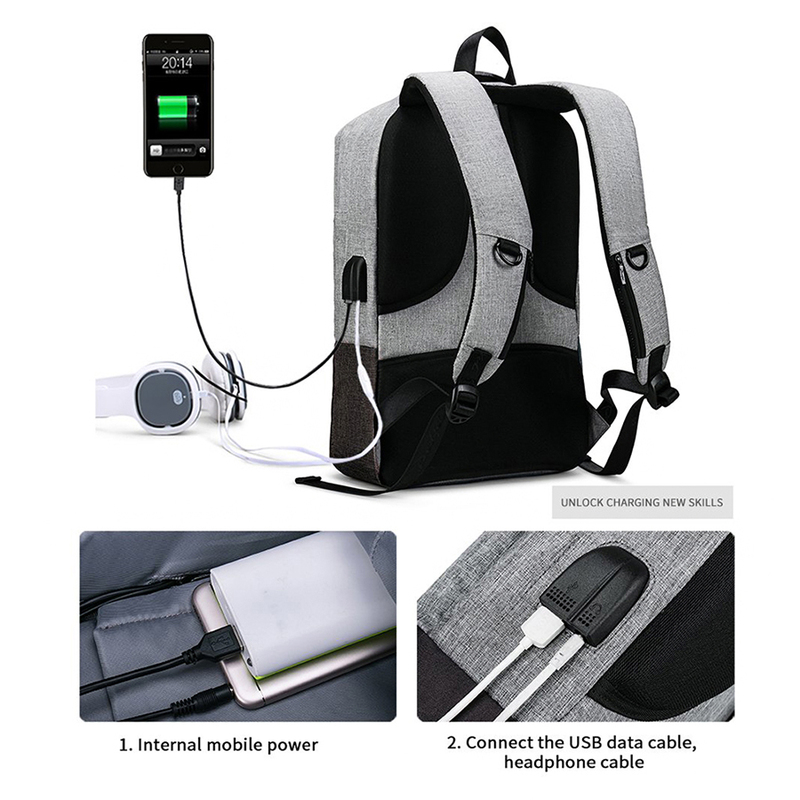 With a sleek elastic band for storing bottles and an external USB charging port, this model is truly a winner when it comes to waterproof business backpacks. 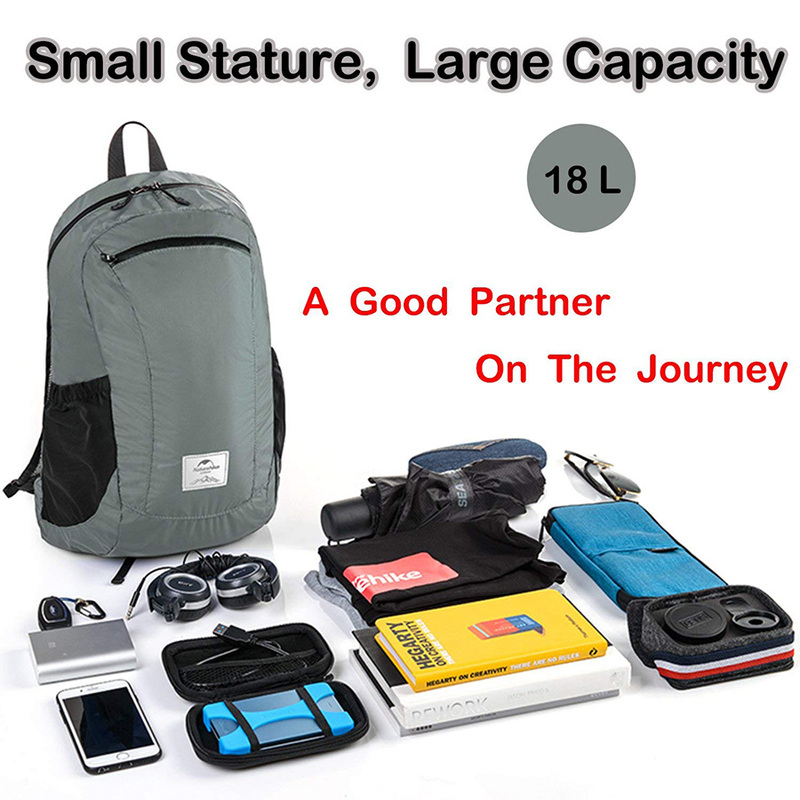 What fits into a side pocket of your suitcase and also holds 18 litres of heavy goods? 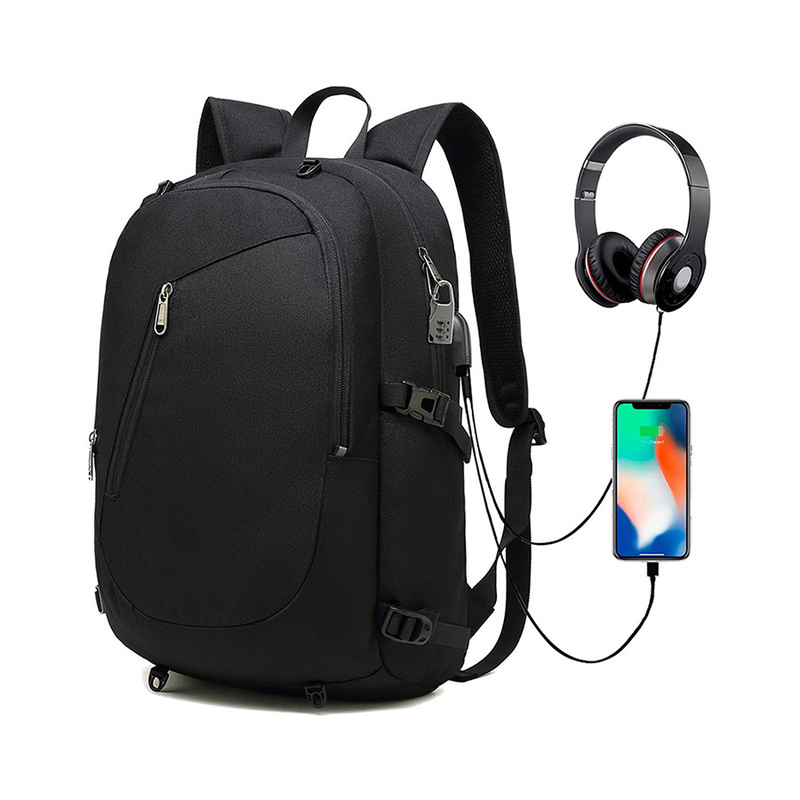 This backpack serves as the ultimate in portability as it folds up into a small compact bundle and also unfolds into a hefty yet lightweight model. 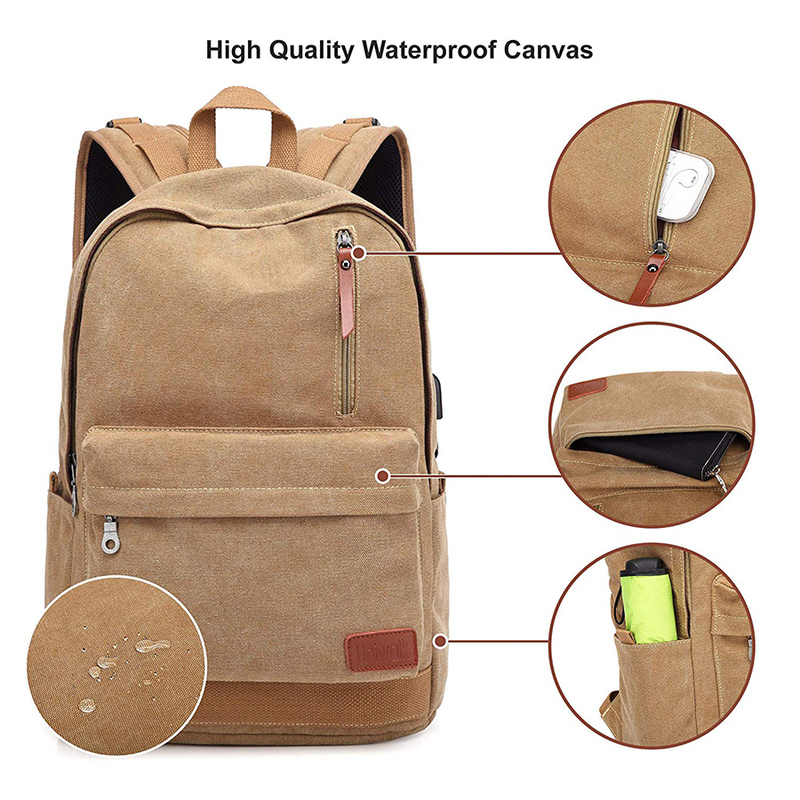 The tear-resistant, waterproof material makes this ideal for students and travellers on a hiking or cycling tour, and the abrasion-resistant zippers further add to the durability. 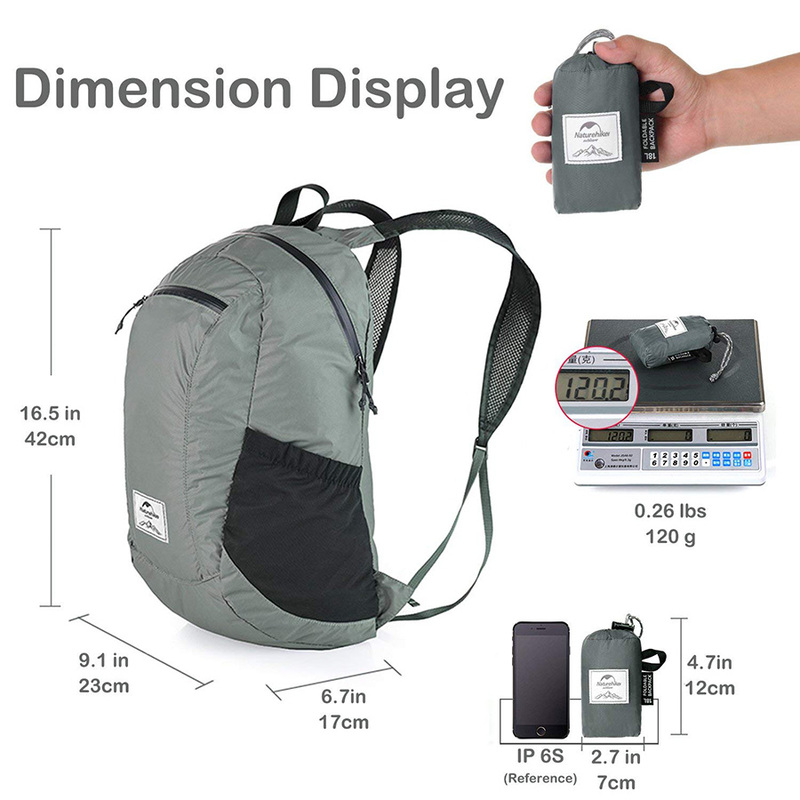 Its compact size, moreover, makes it perfect for daily use to college or work once you’re back from your hiking tour. Travelling in the wilderness calls for extra protection, and this durable waterproof ultra-rugged model scores on all counts. 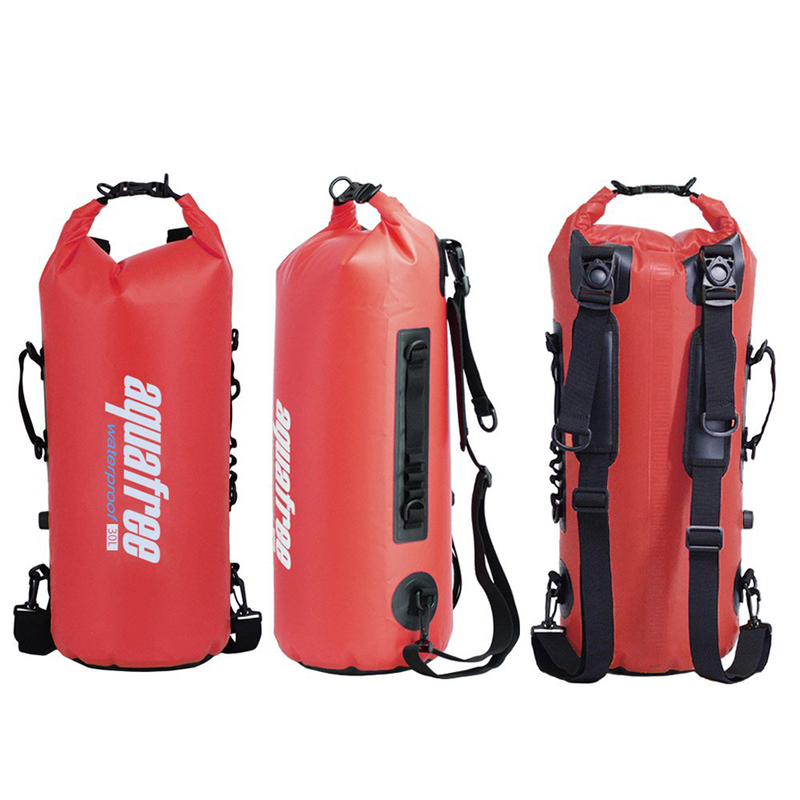 The 500D PVC material can withstand all kinds of weather, and the attacked elastic rope allows you to carry additional clothes or shoes. A separate secure-locked waterproof phone case keeps your device safe from harm, and the fully welded seams make it absolutely water-tight. If it falls in the water, moreover, it will float – making it easy to retrieve and ensuring that your belongings stay safe come hail or high water. Which Ones Are The Best Among The Best? 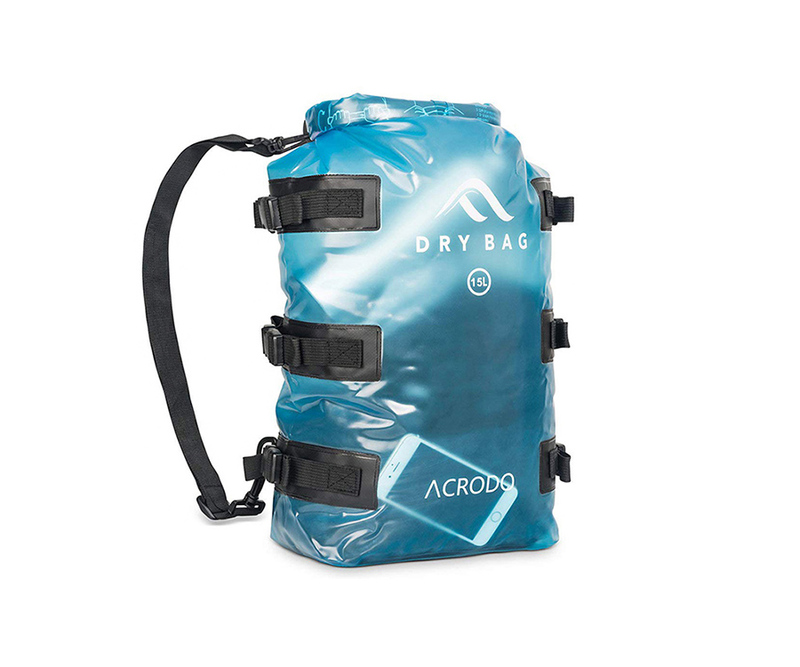 The waterproof bags covered on this list come in all shapes and sizes. 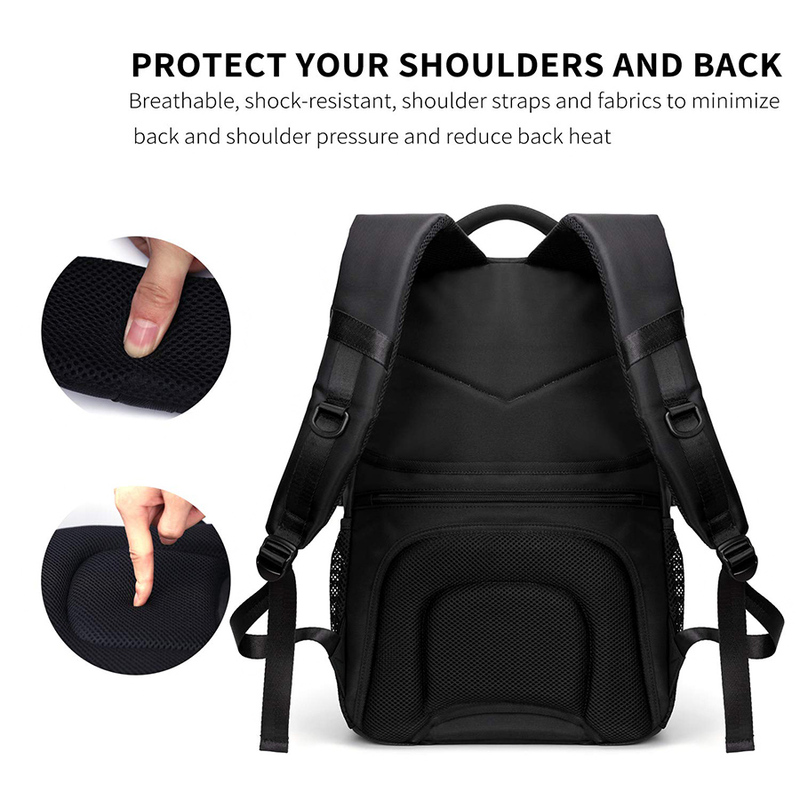 Some are designed for regular protection in school and college, others are designed for safety while playing sports; some are large and capacious, some are compact and small. 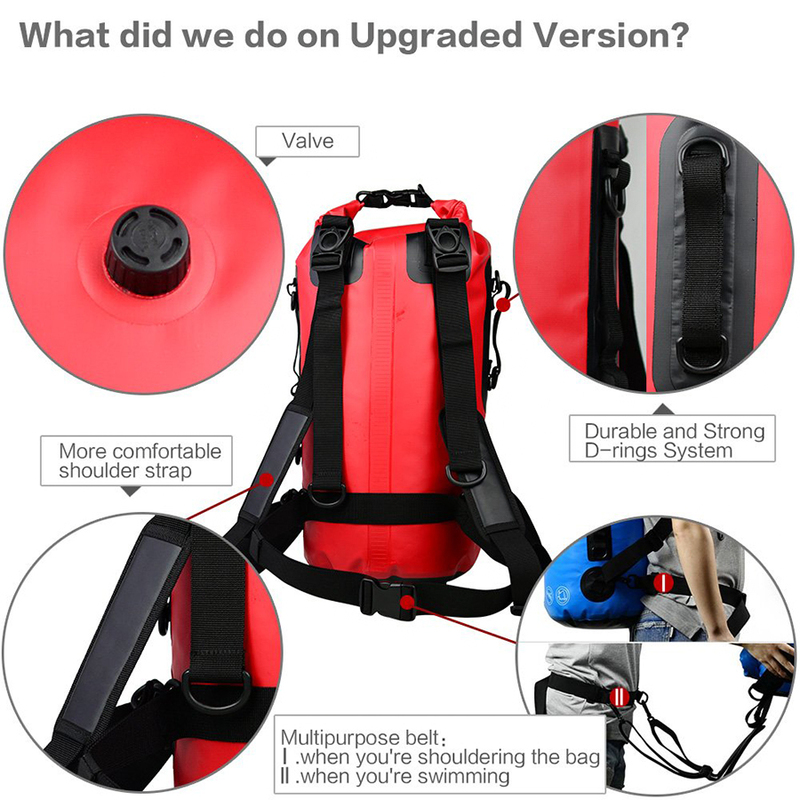 Certain attributes, however, set aside the best waterproof backpacks from the rest – durability, portability and convenience. 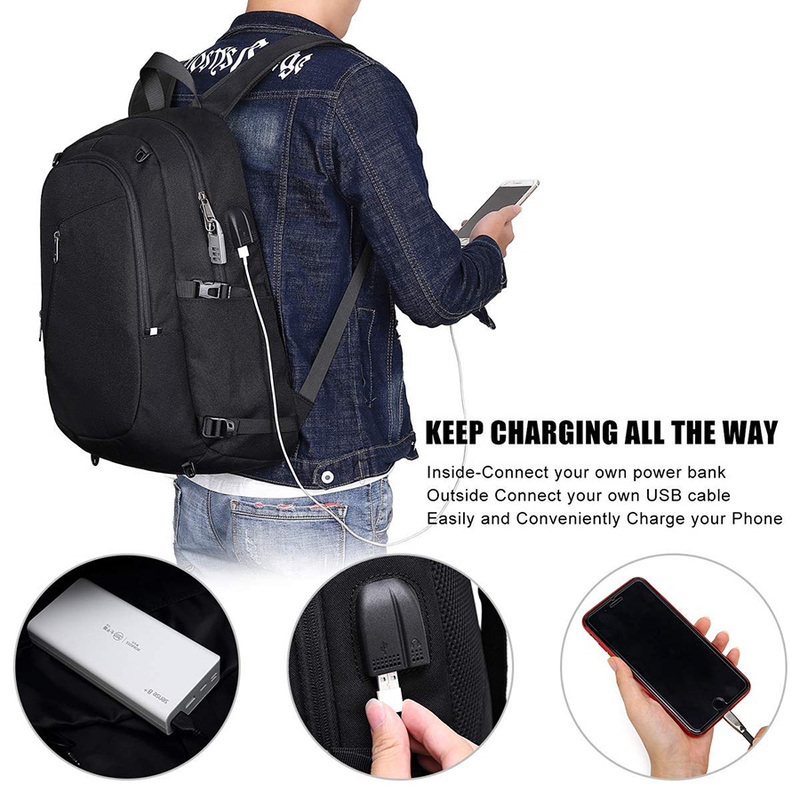 And we’ll recommend K3 Tech Pro for all you adventure junkies, Overmont Laptop Backpack for heavy duty tech users, and OMOUBOI Business Laptop Backpack for business travellers. The backpacks we’ve highlighted here check all boxes with flair. 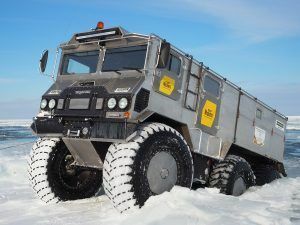 So whether you’re looking for something heavy-duty for your next camping trip or a smaller option for daily use at college, the list above is bound to have something that suits your requirements. When it comes to waterproof backpacks, after all, only the best will do.